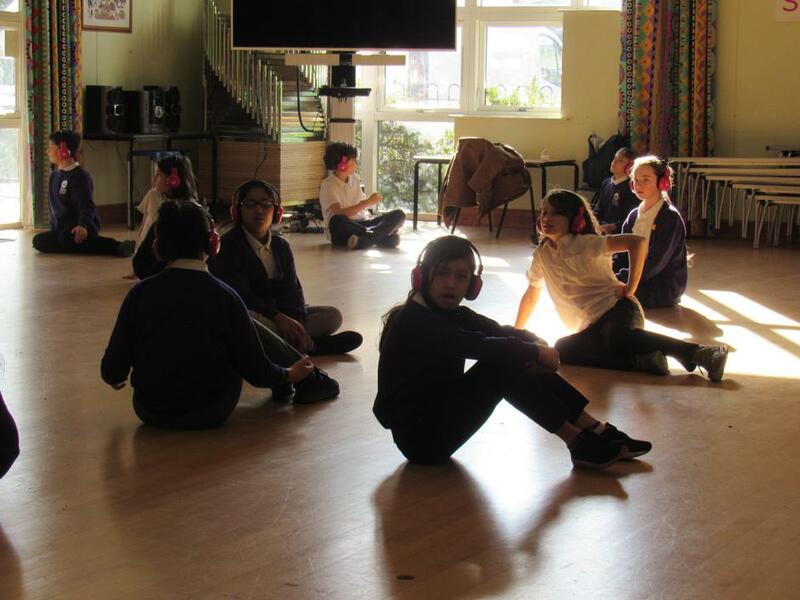 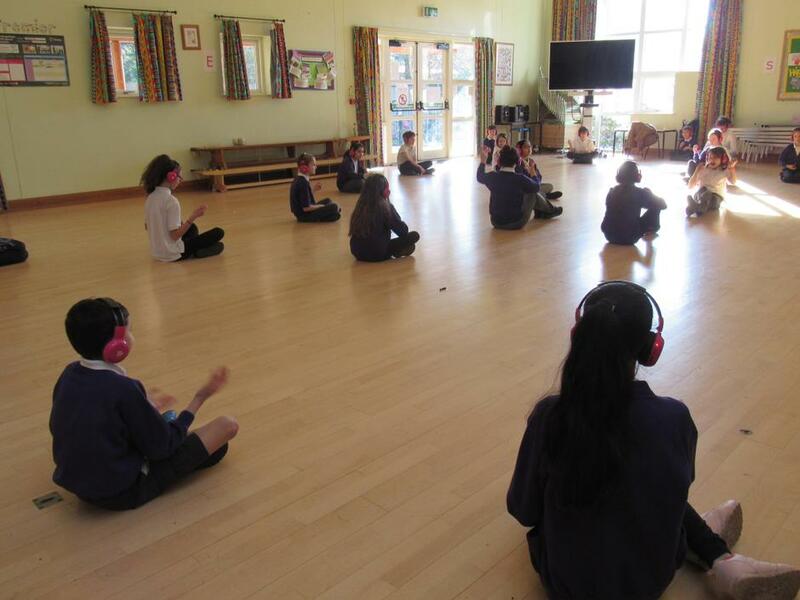 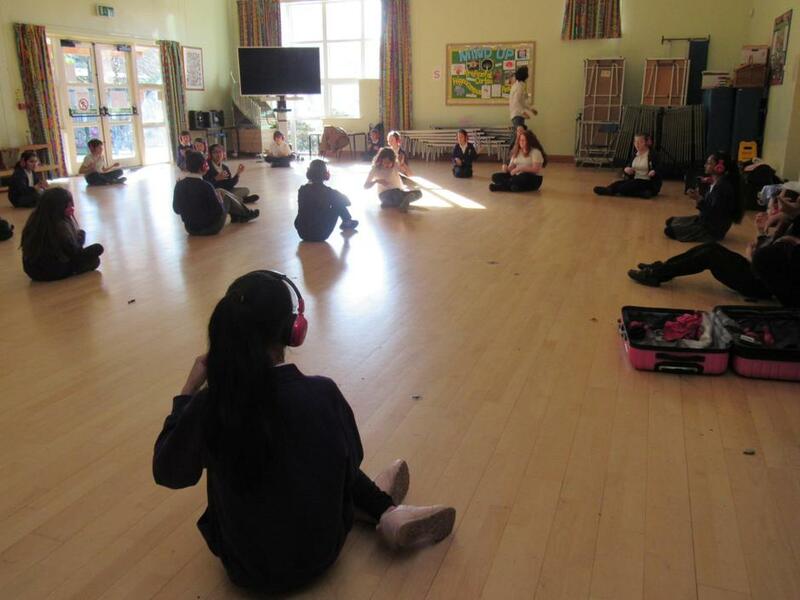 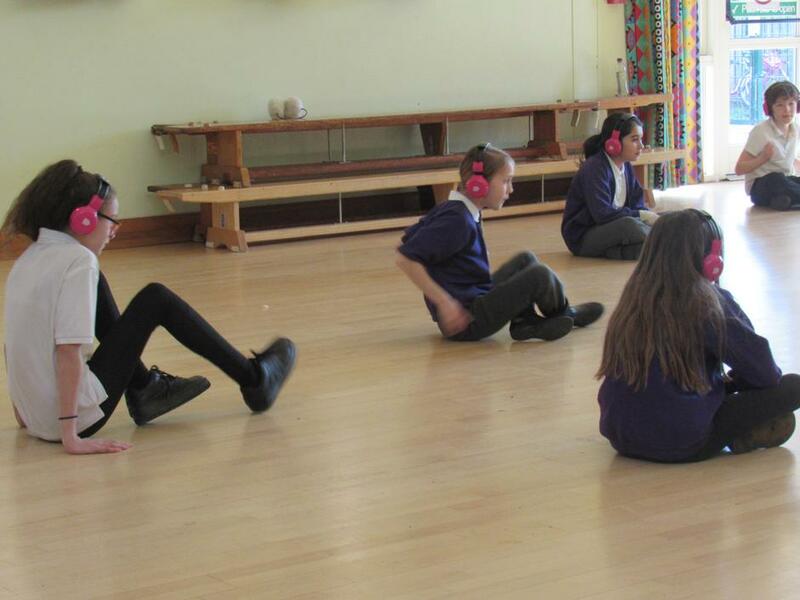 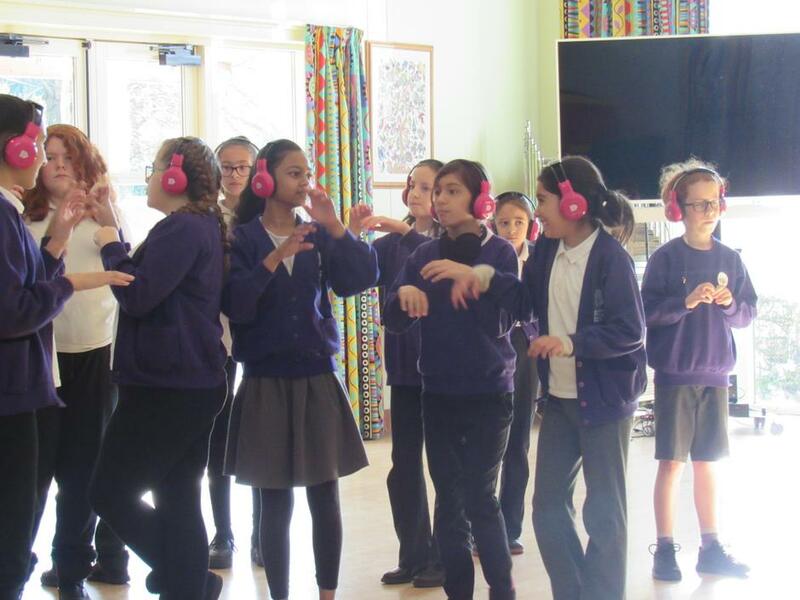 Mrs Trew finally found a way to reduce Year 6 to something close to blissful inaudibility. 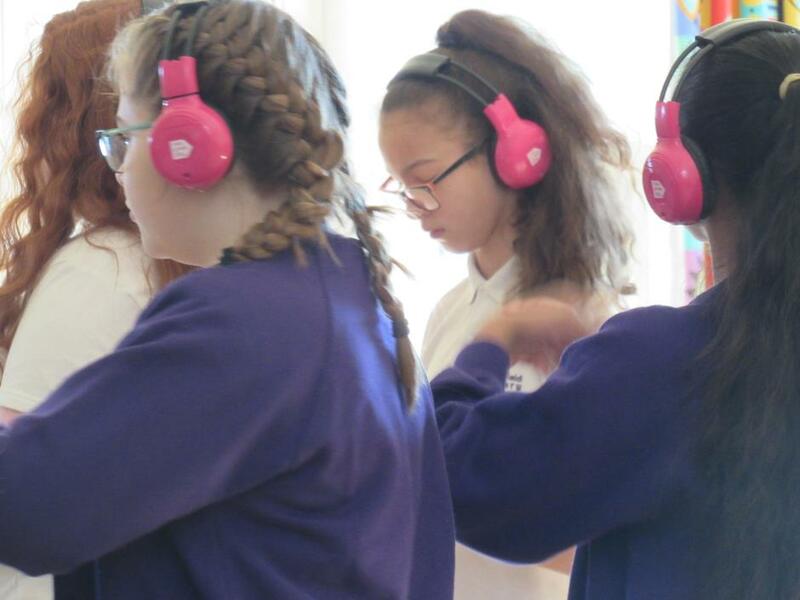 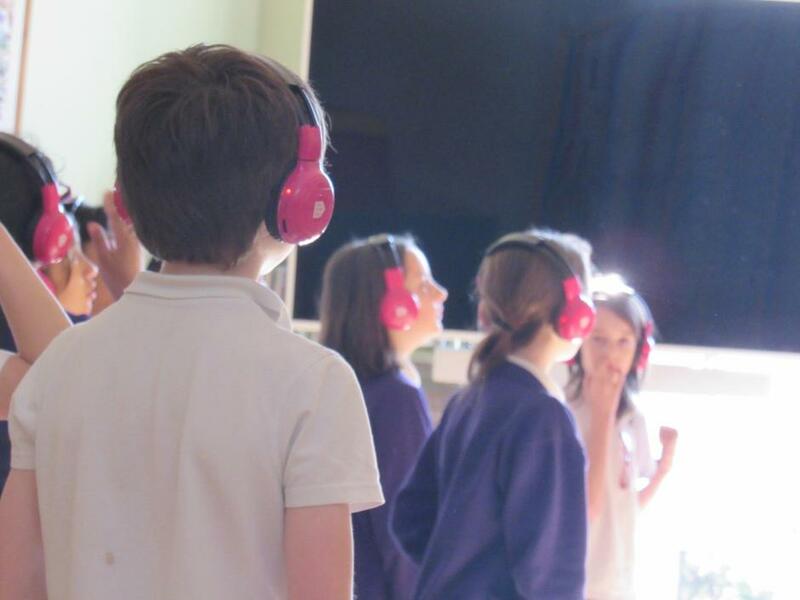 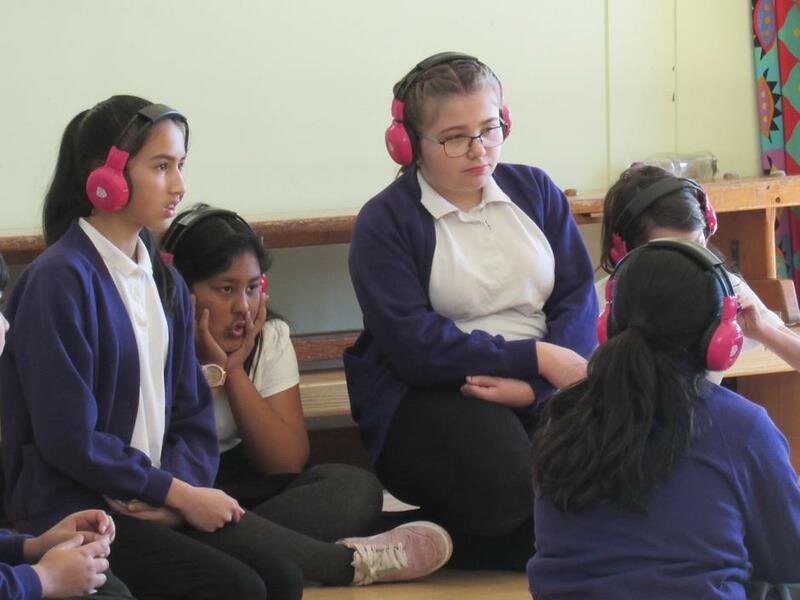 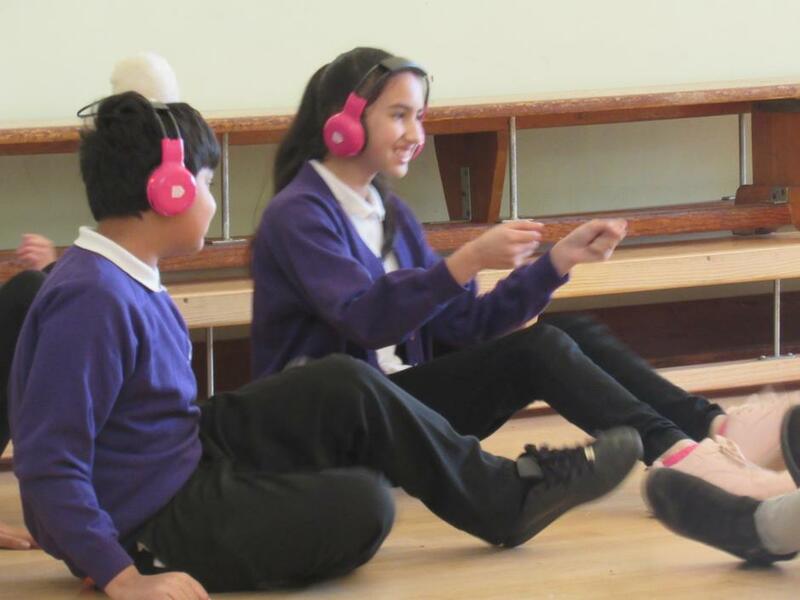 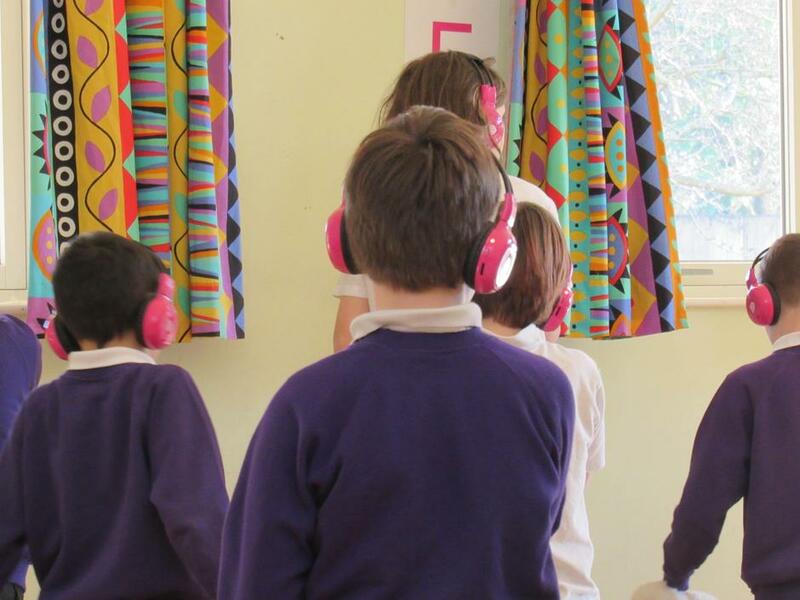 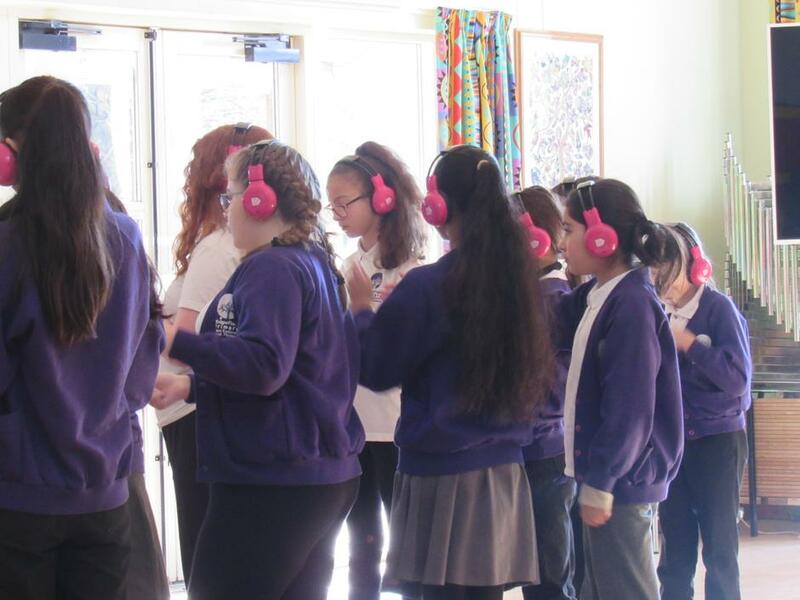 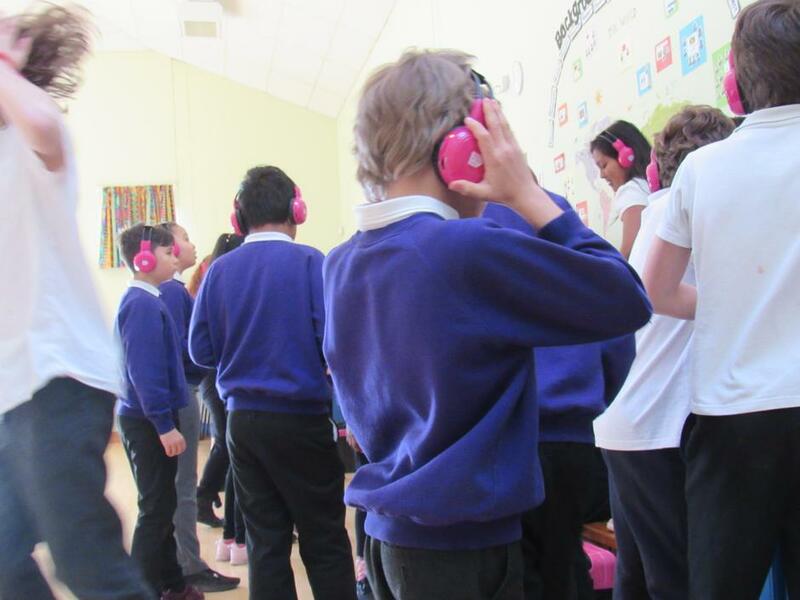 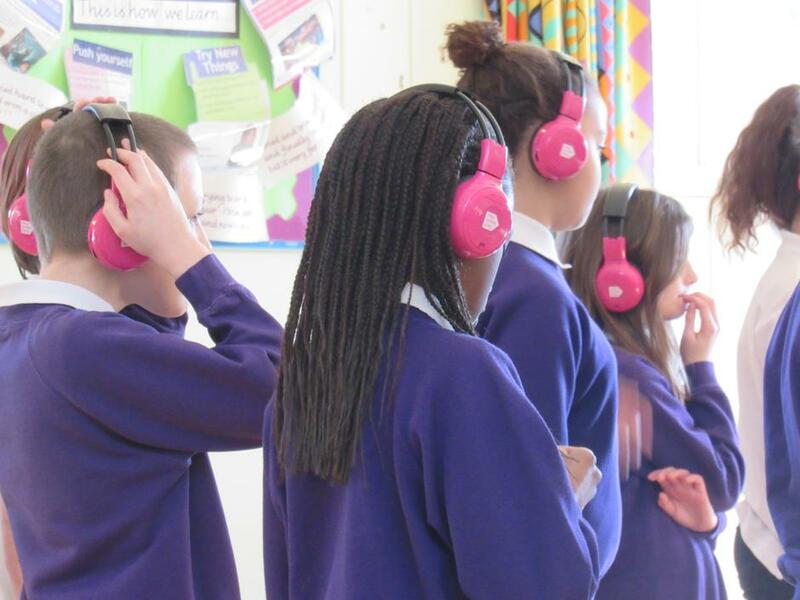 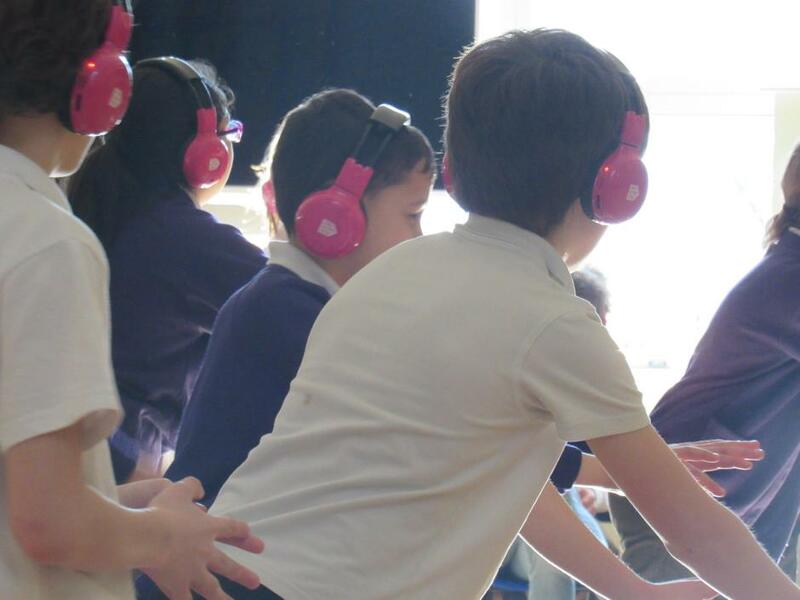 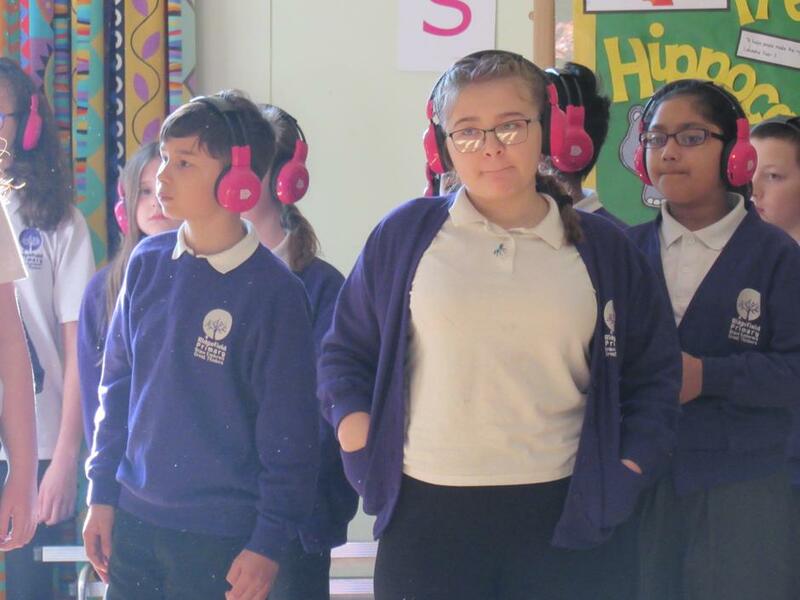 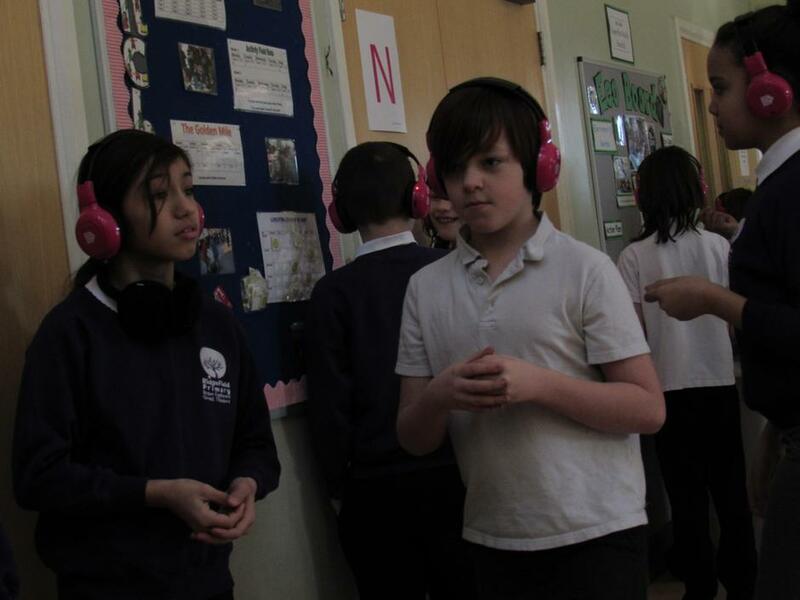 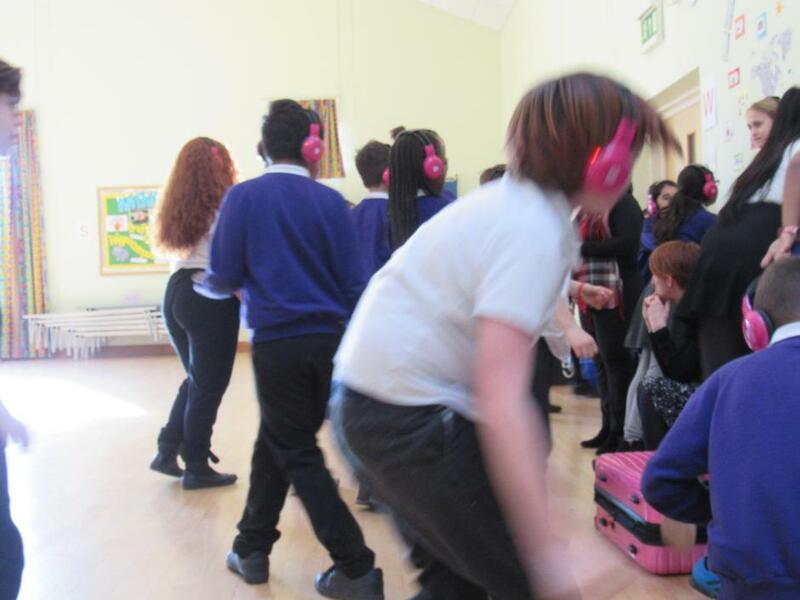 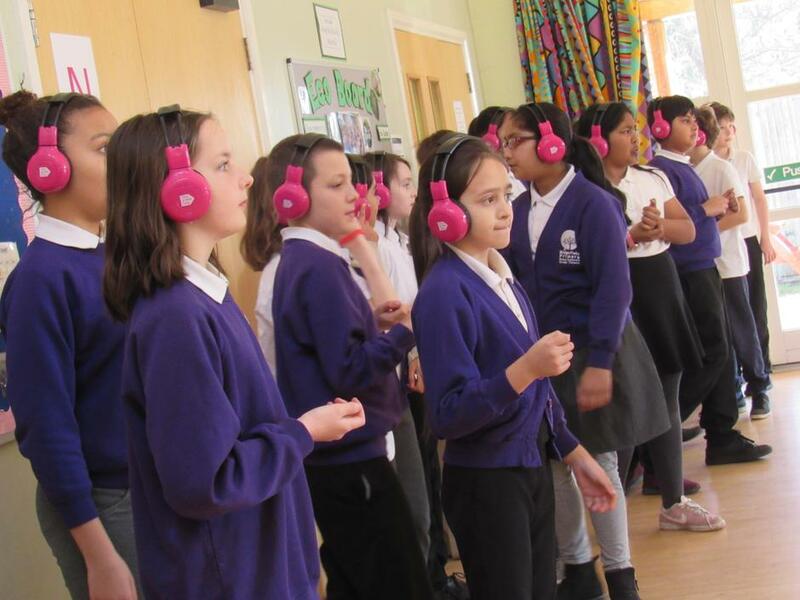 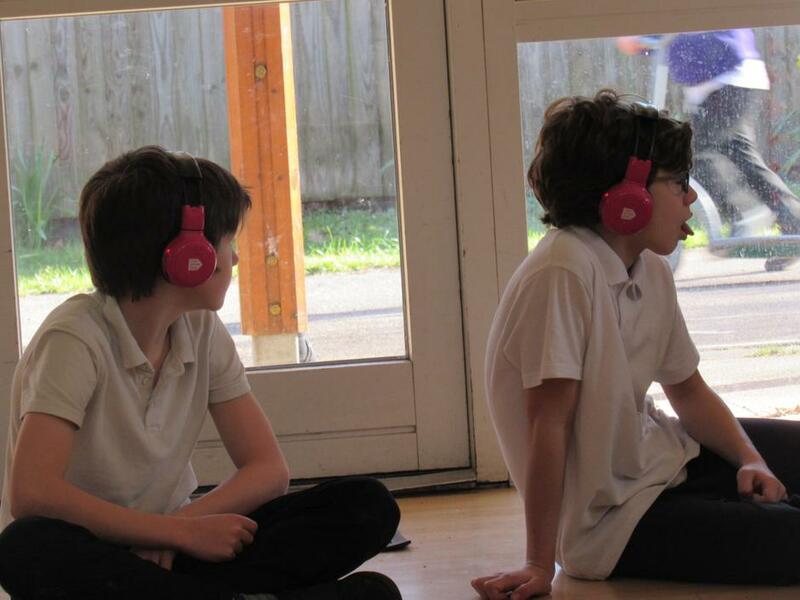 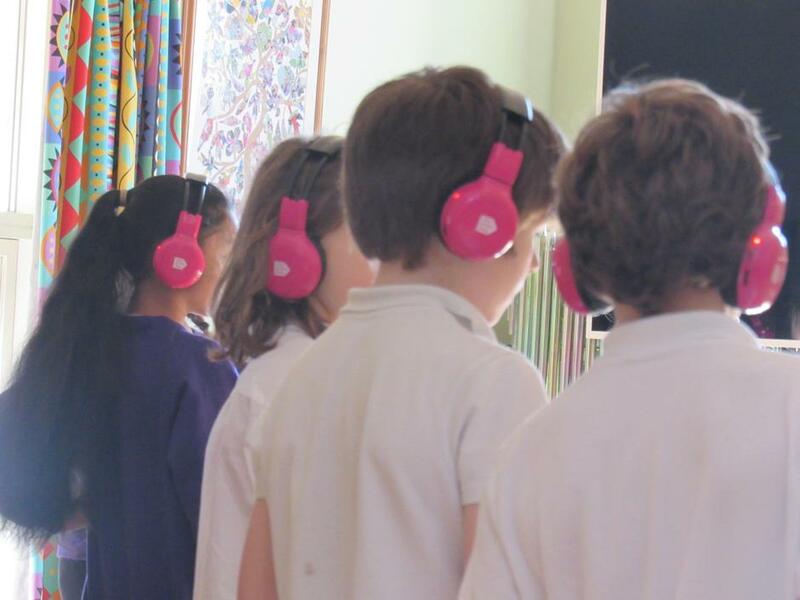 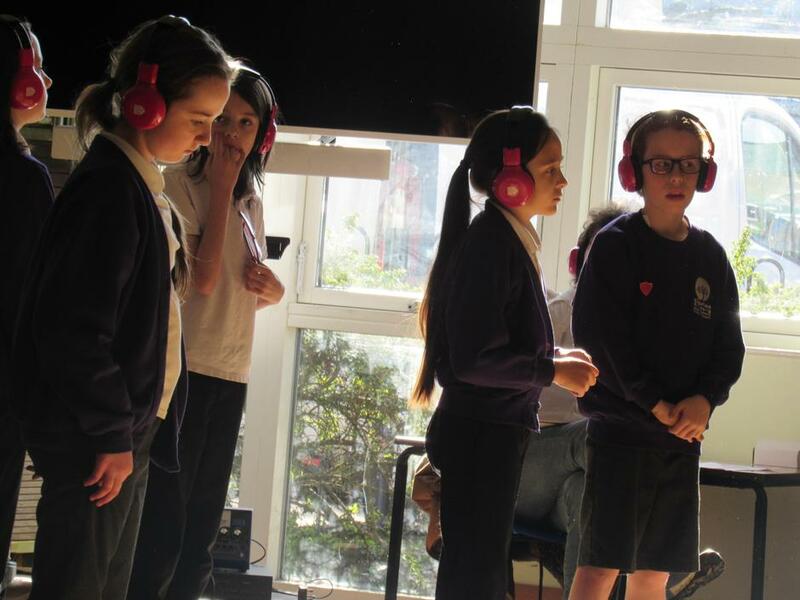 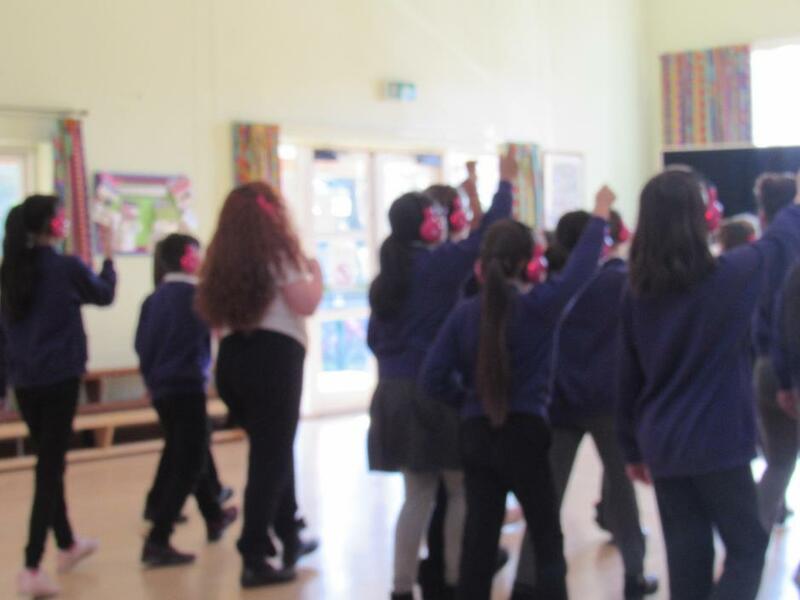 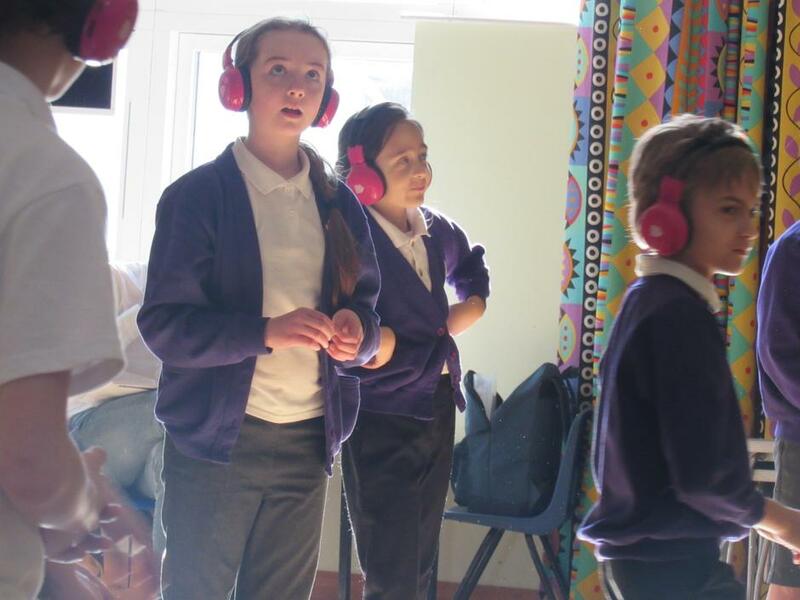 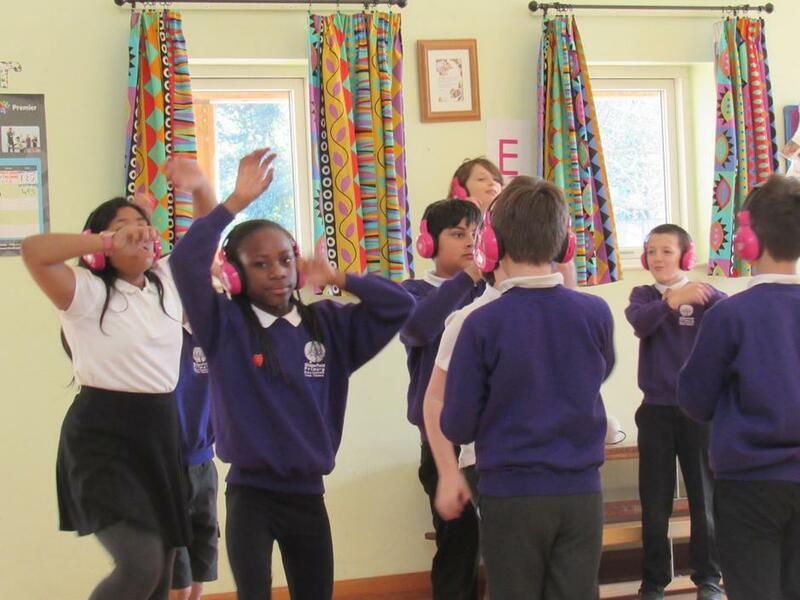 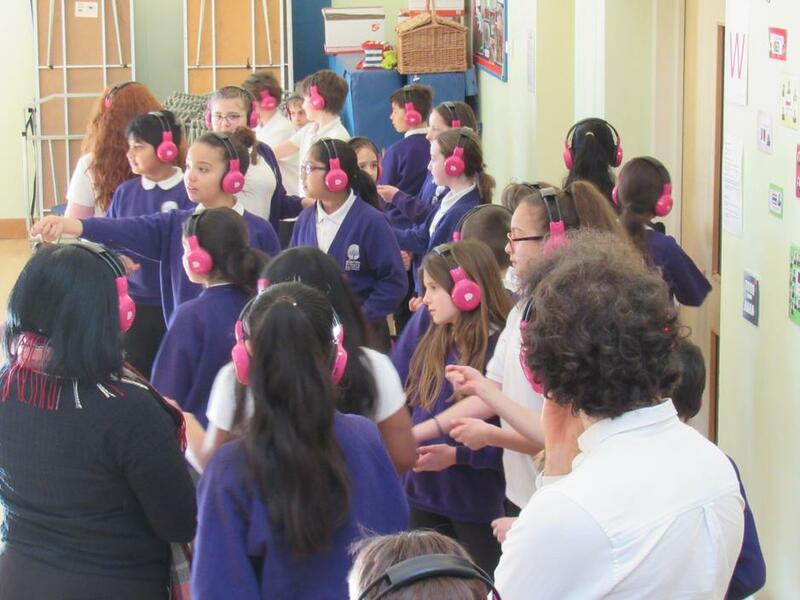 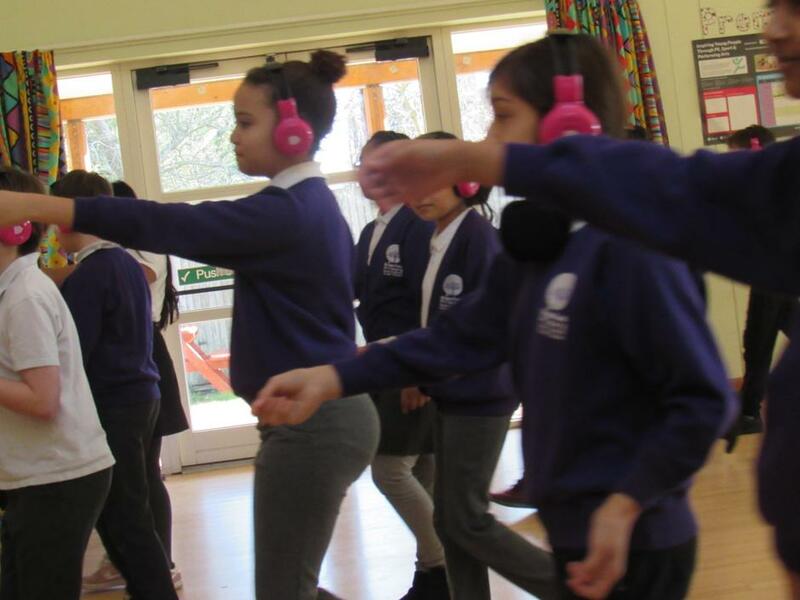 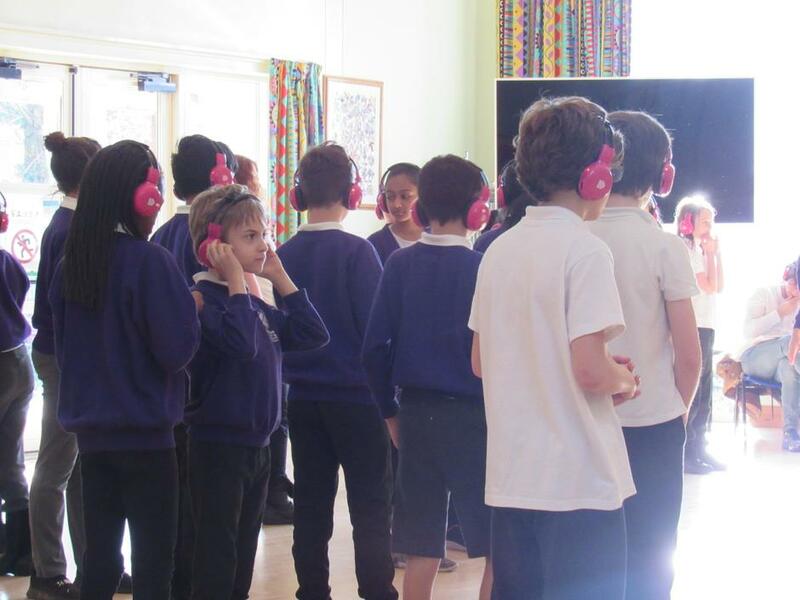 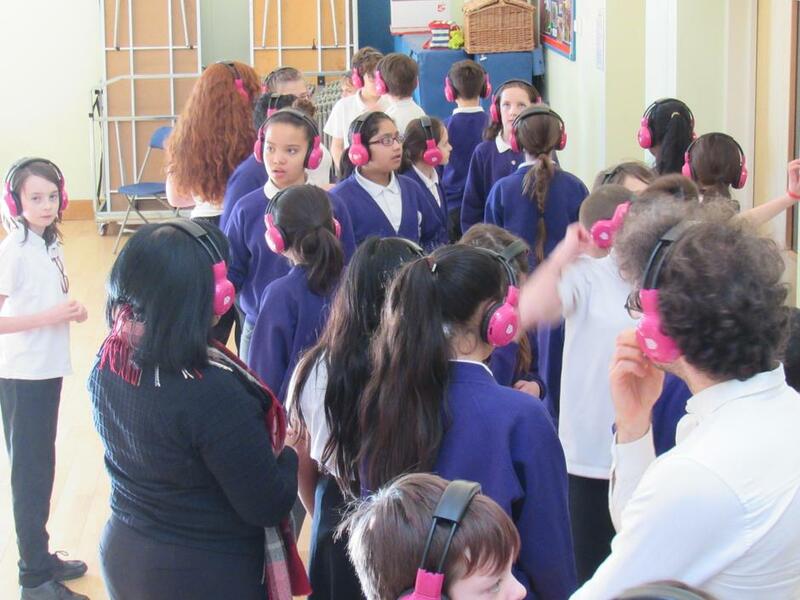 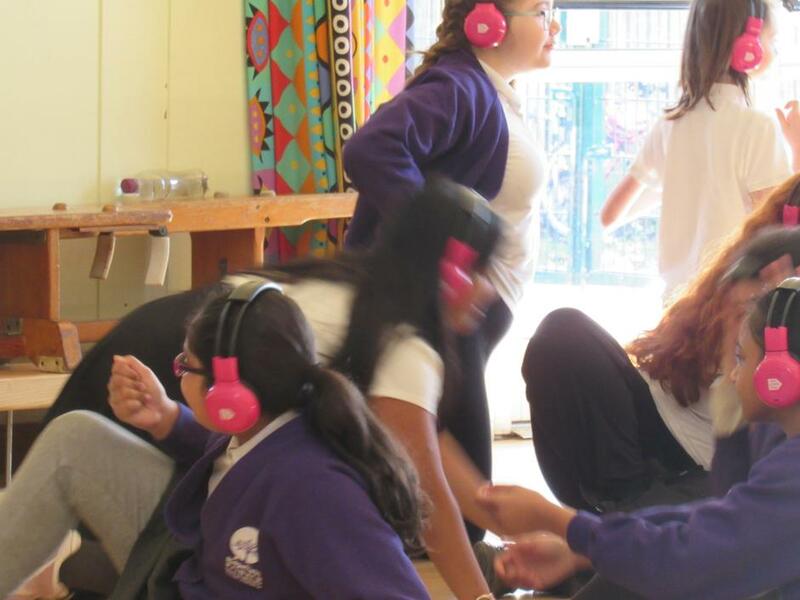 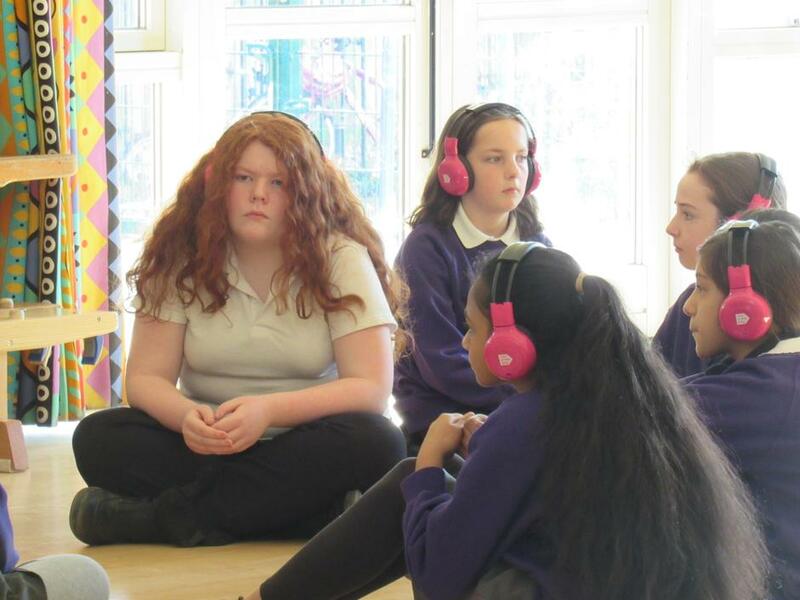 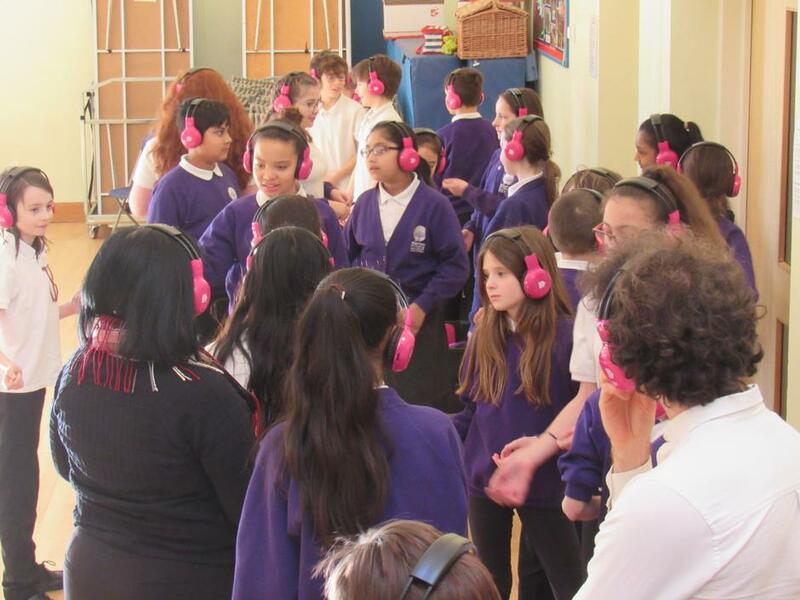 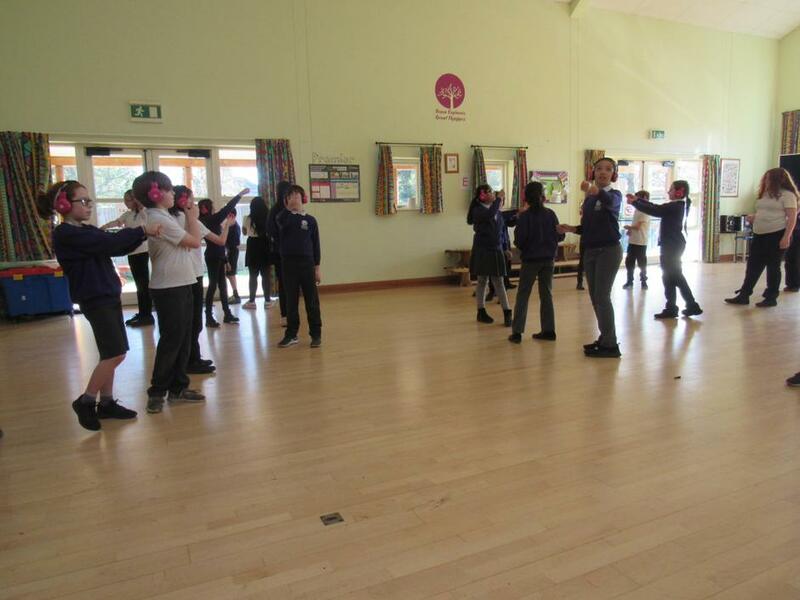 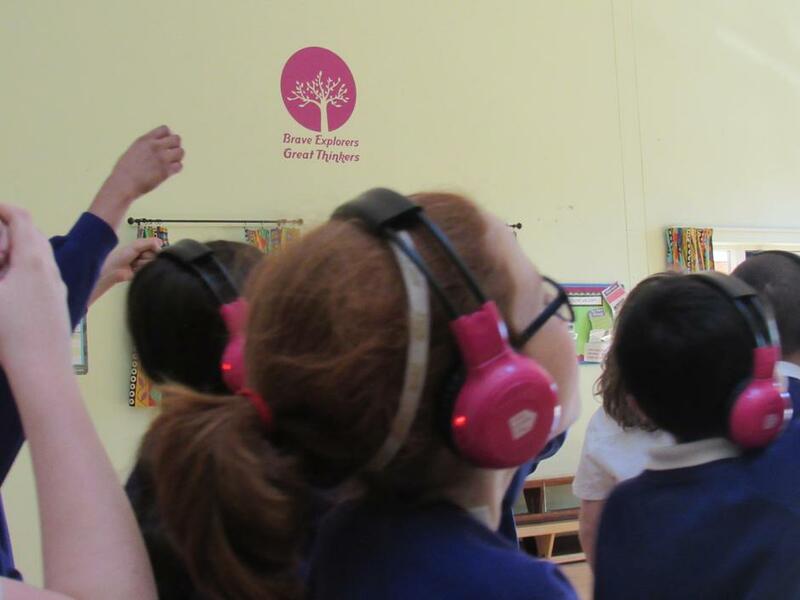 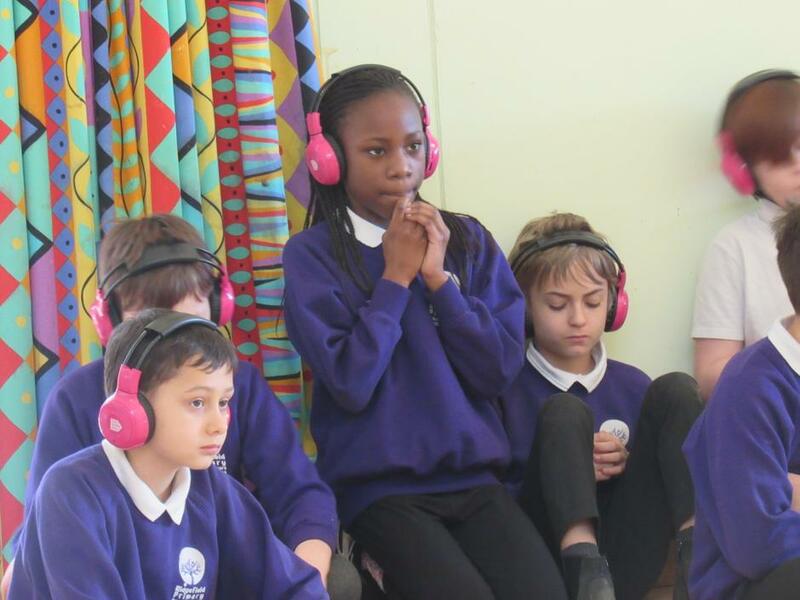 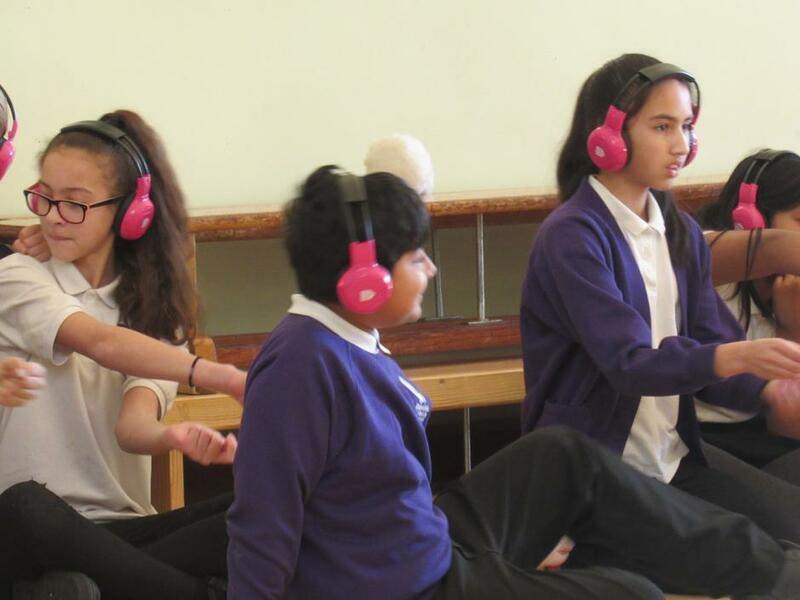 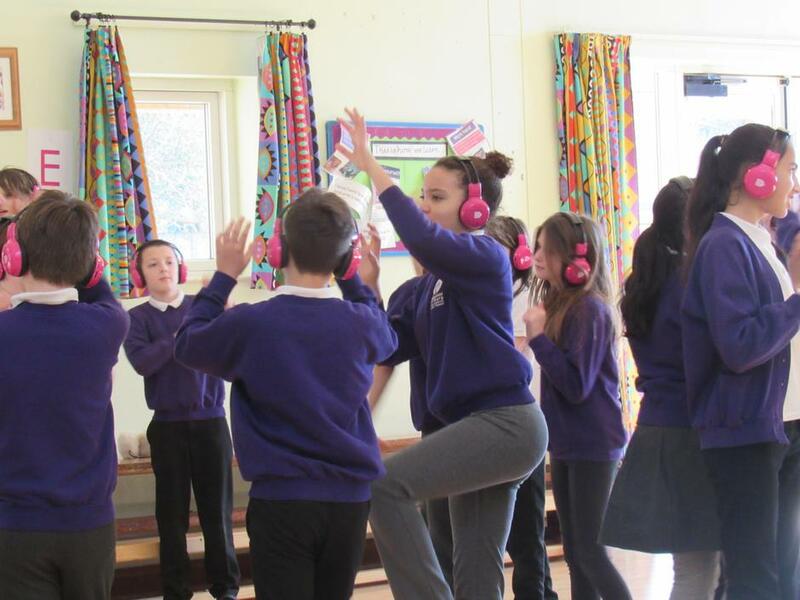 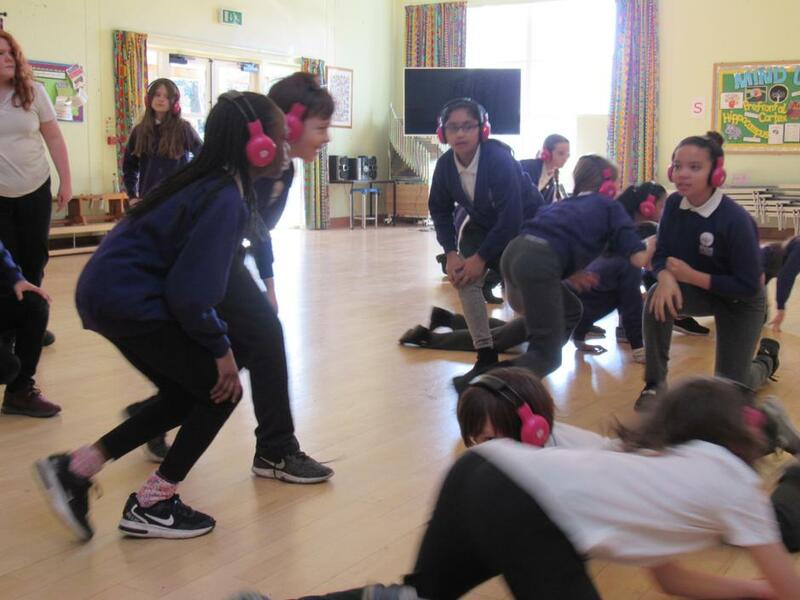 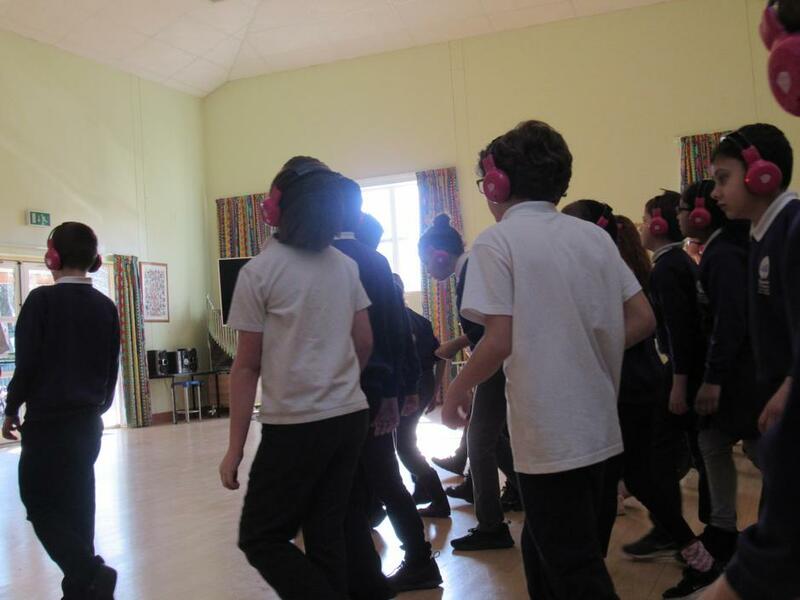 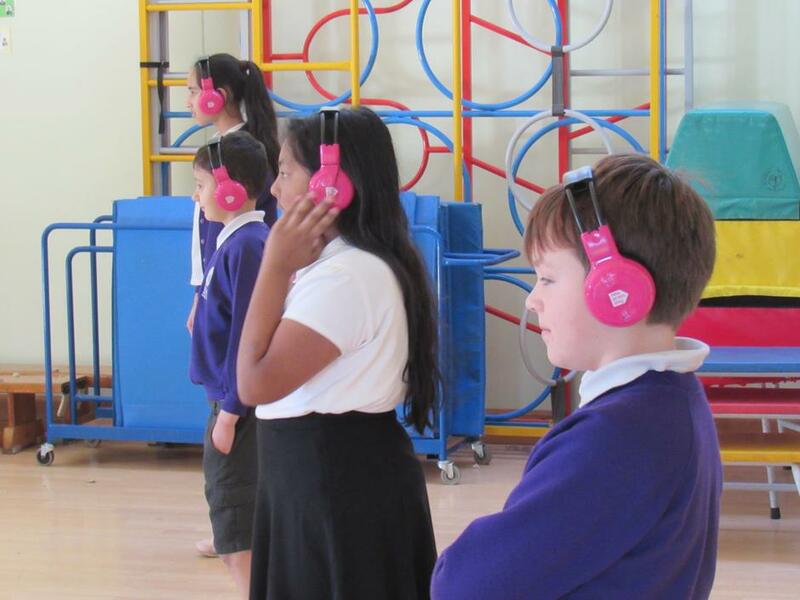 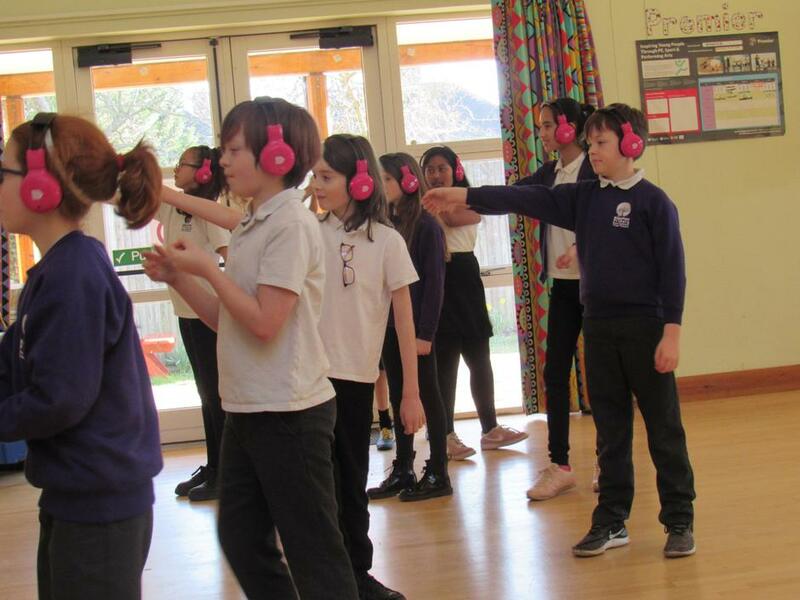 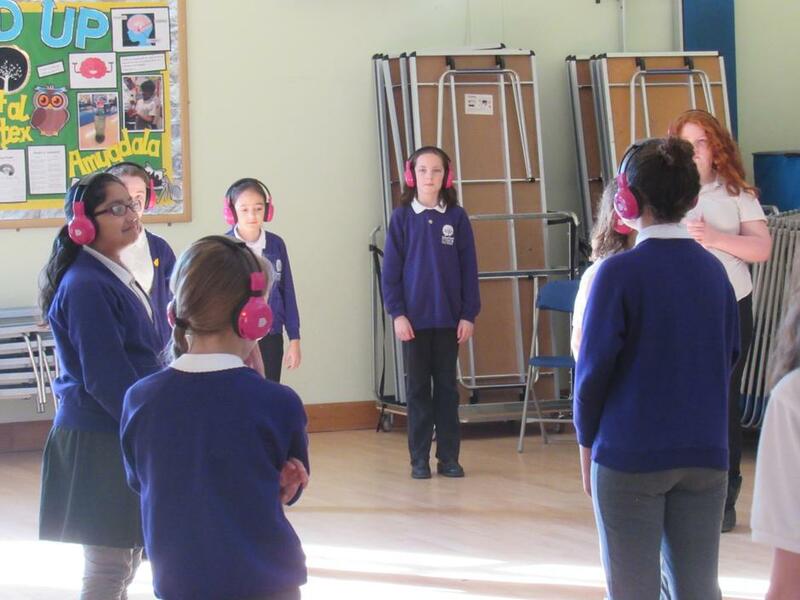 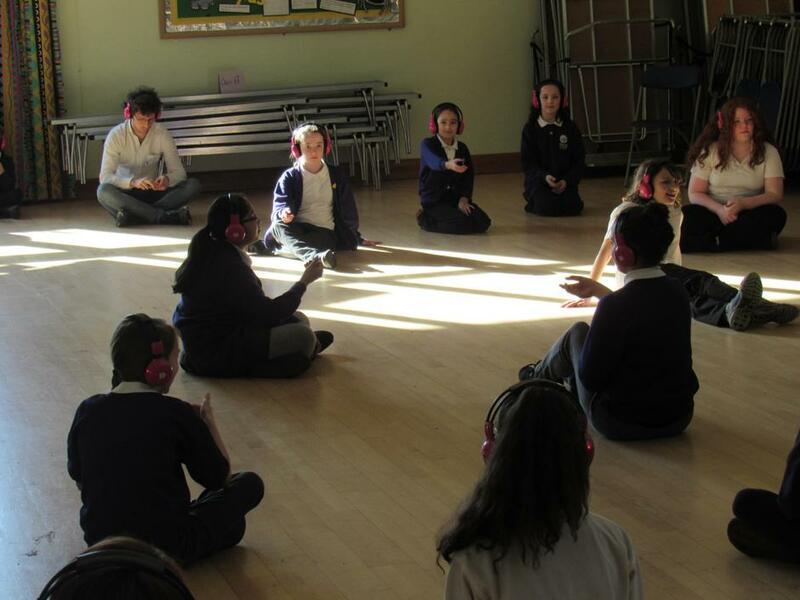 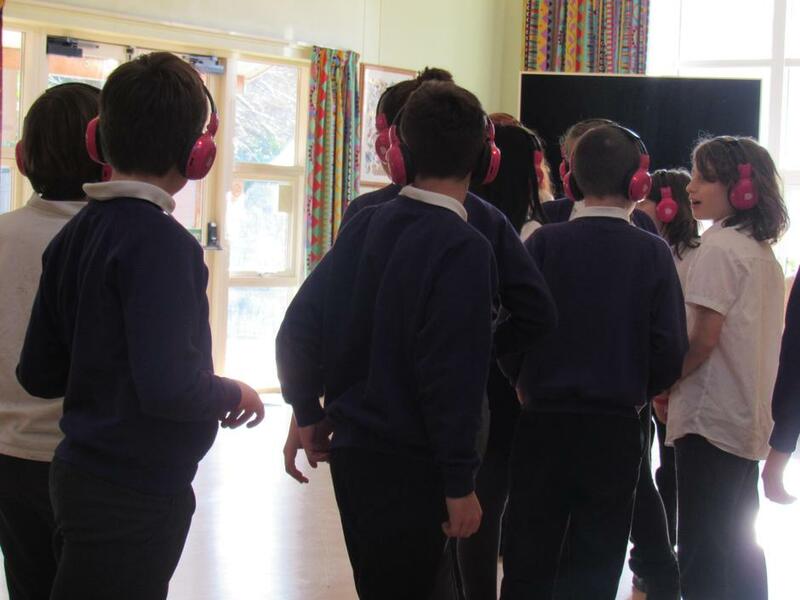 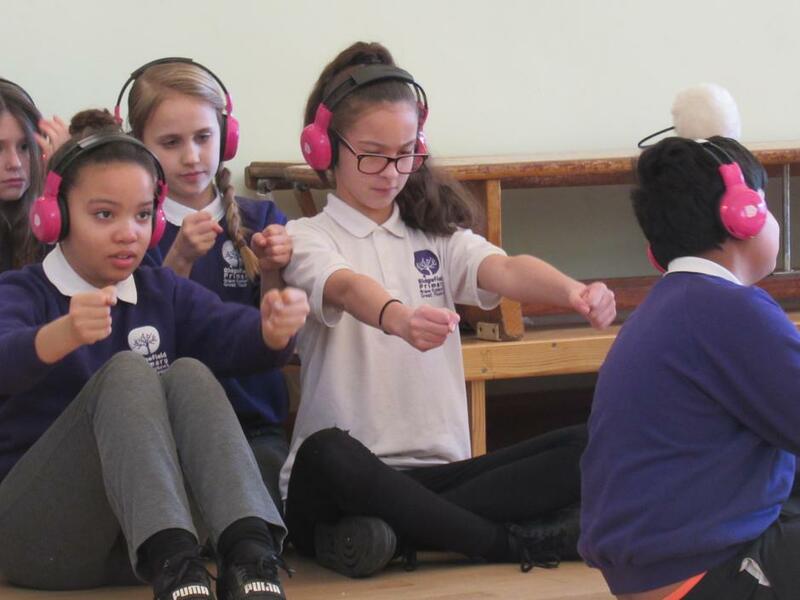 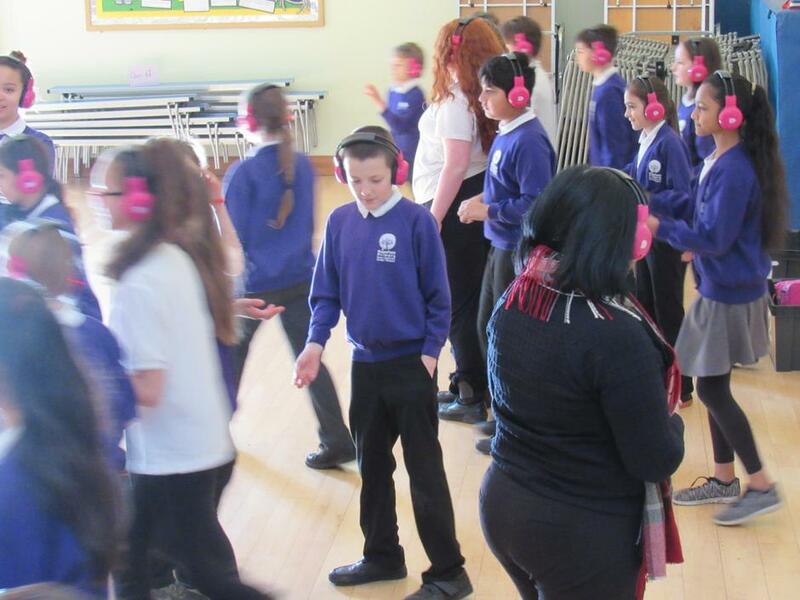 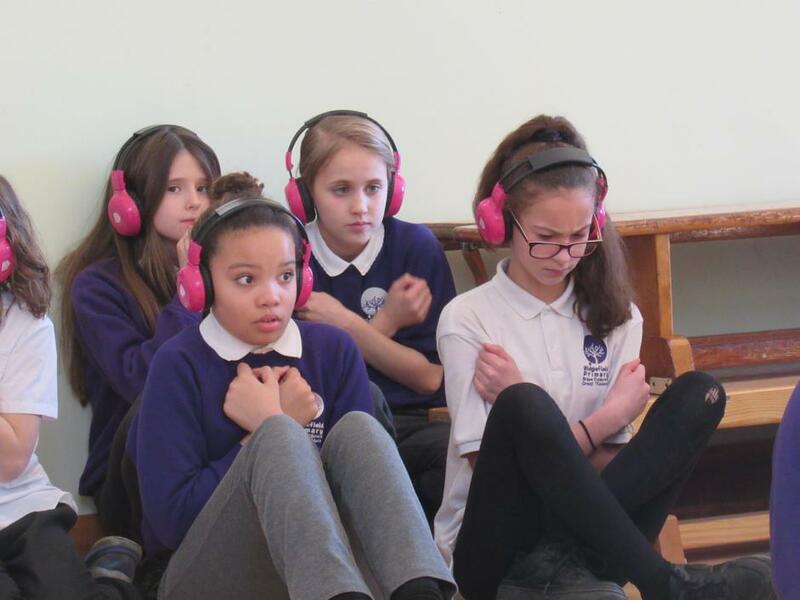 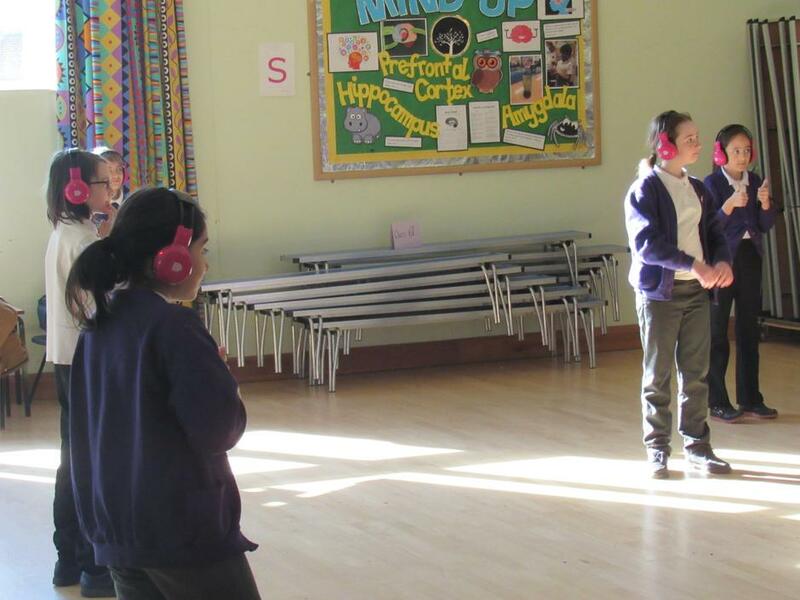 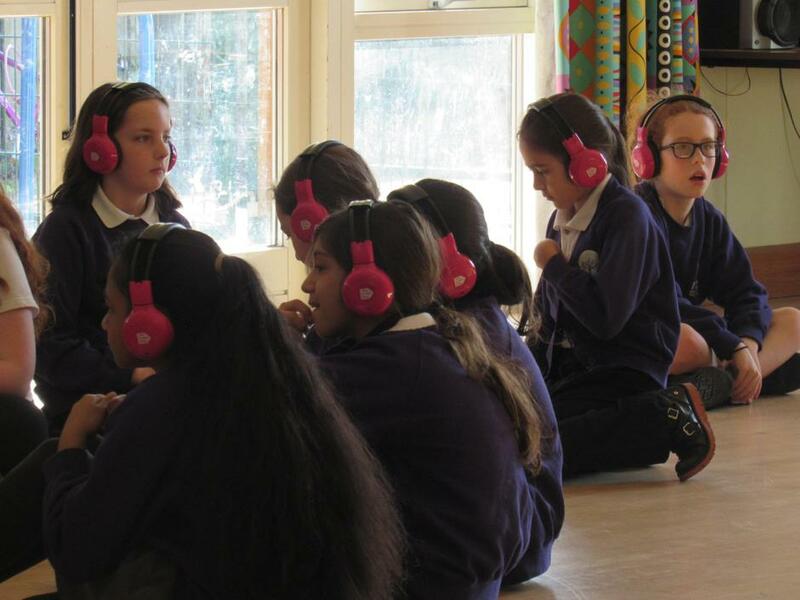 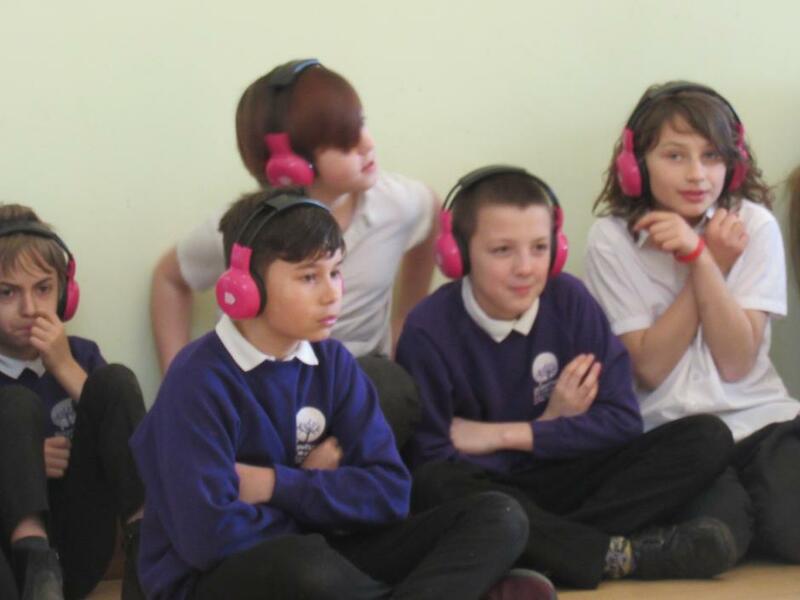 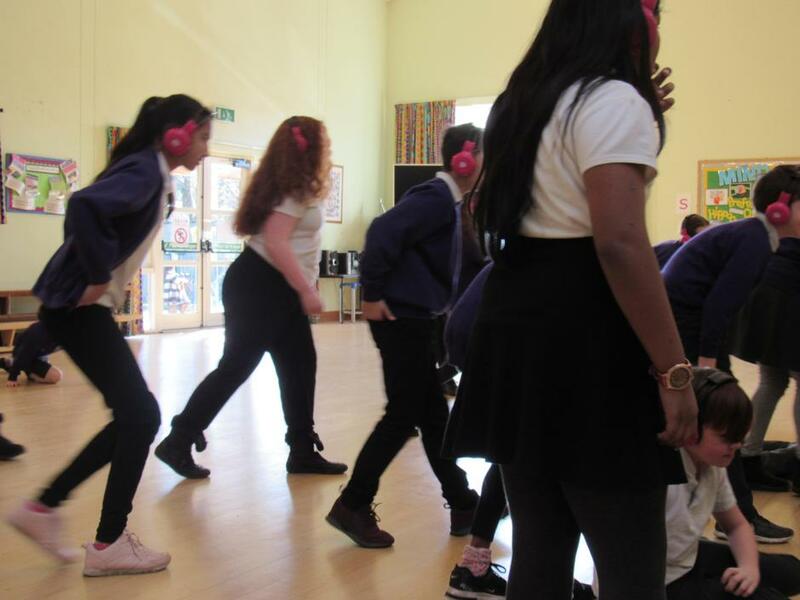 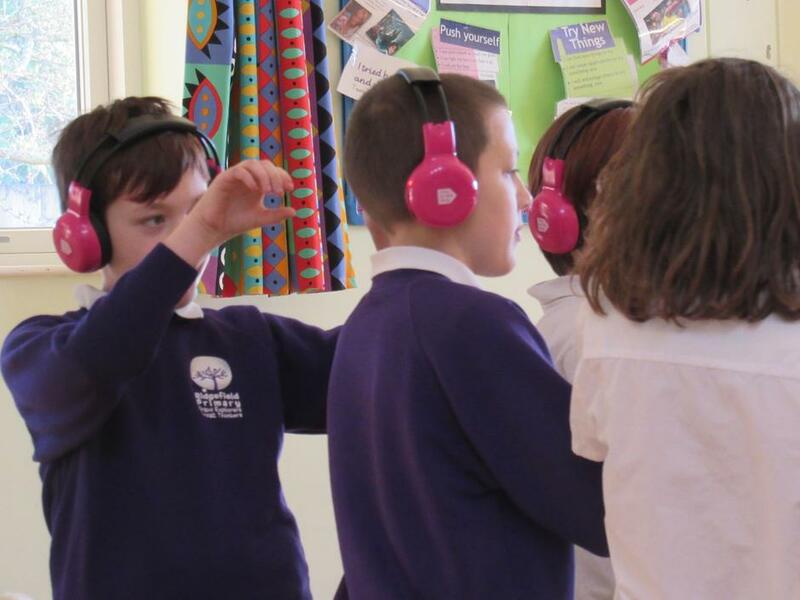 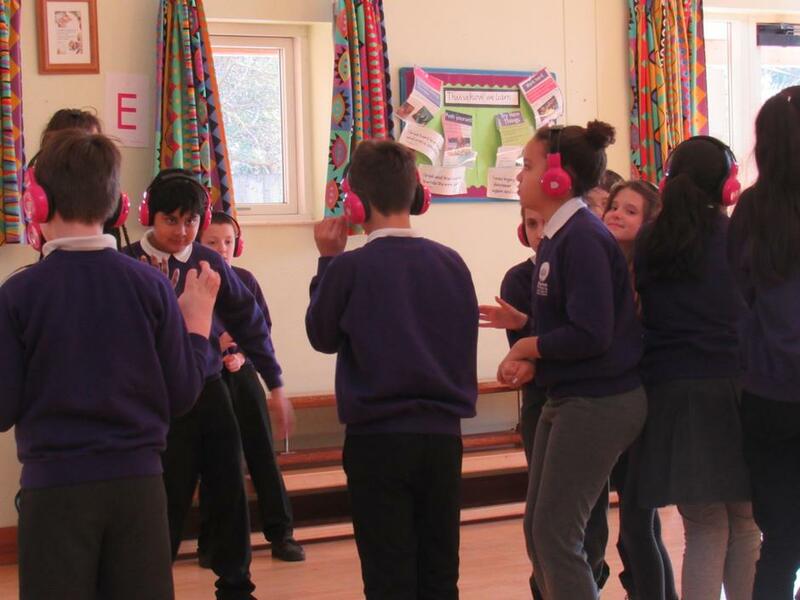 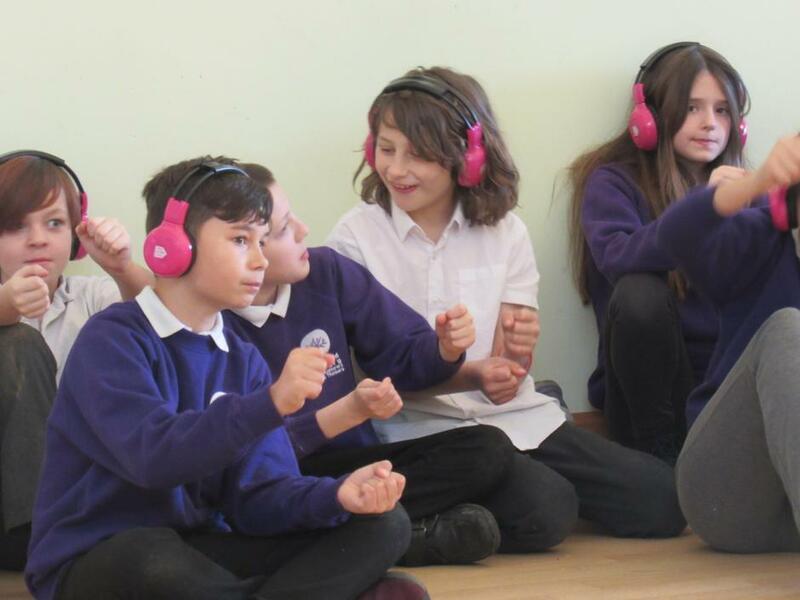 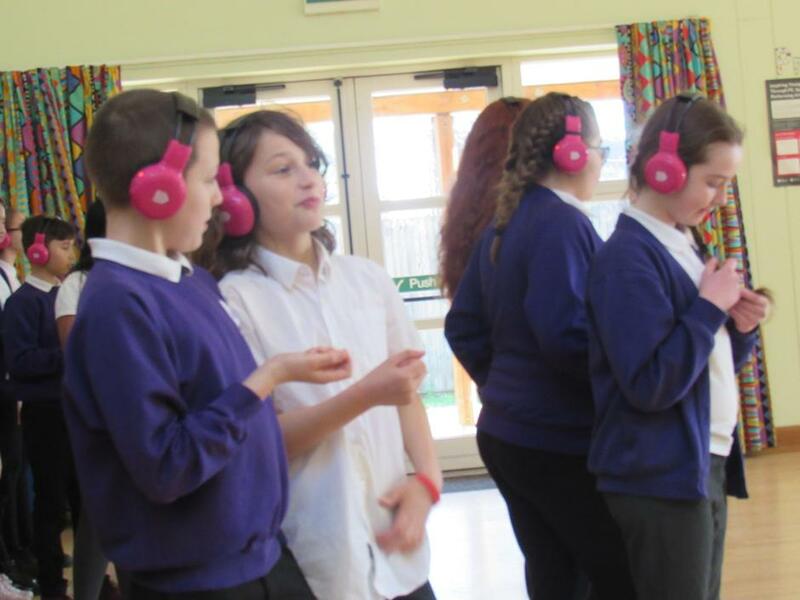 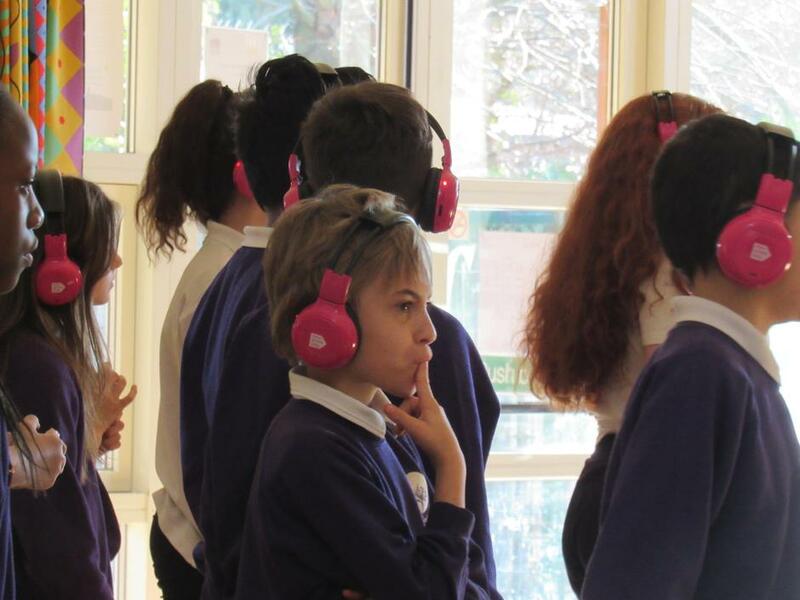 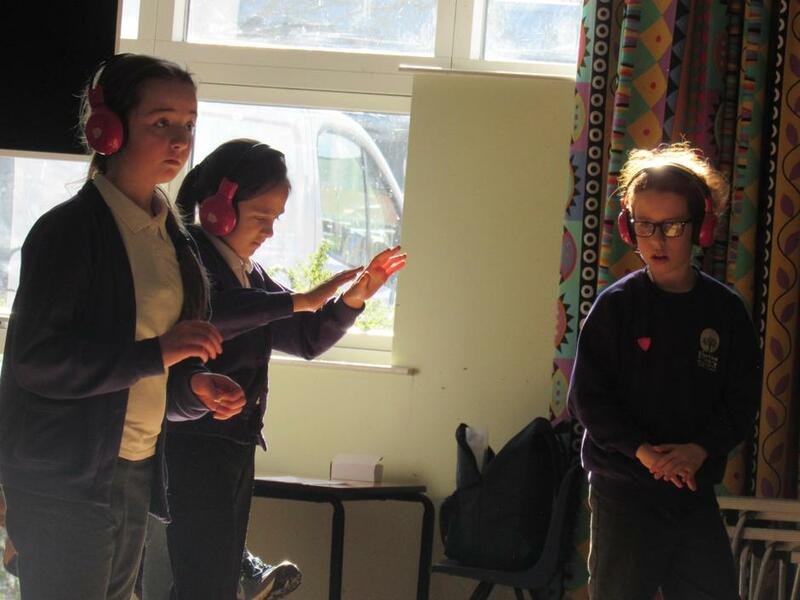 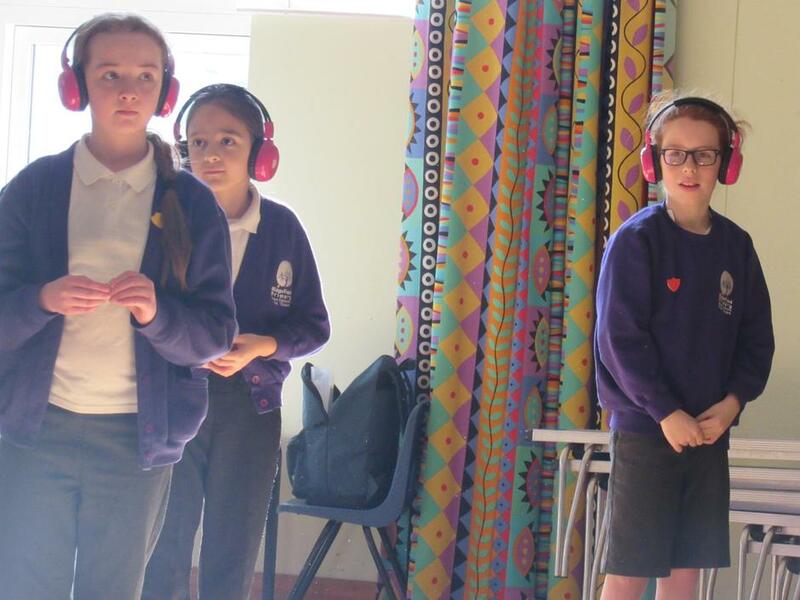 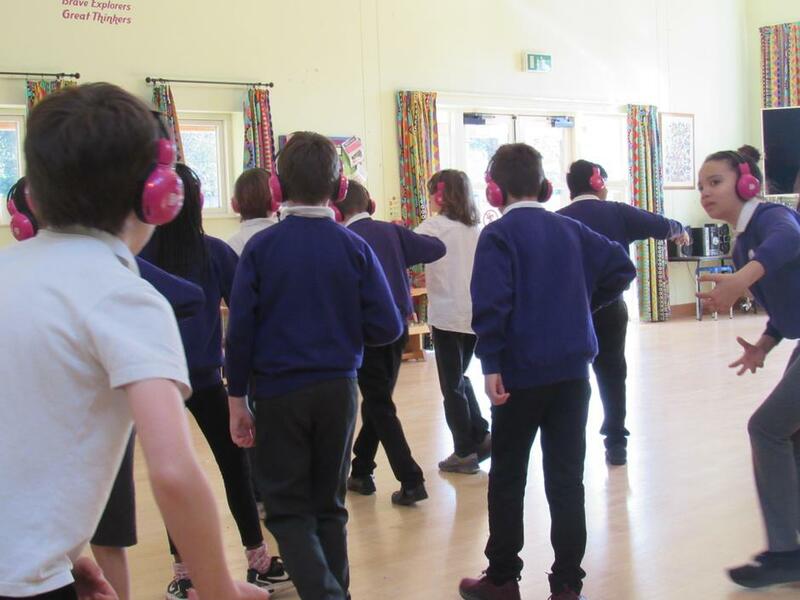 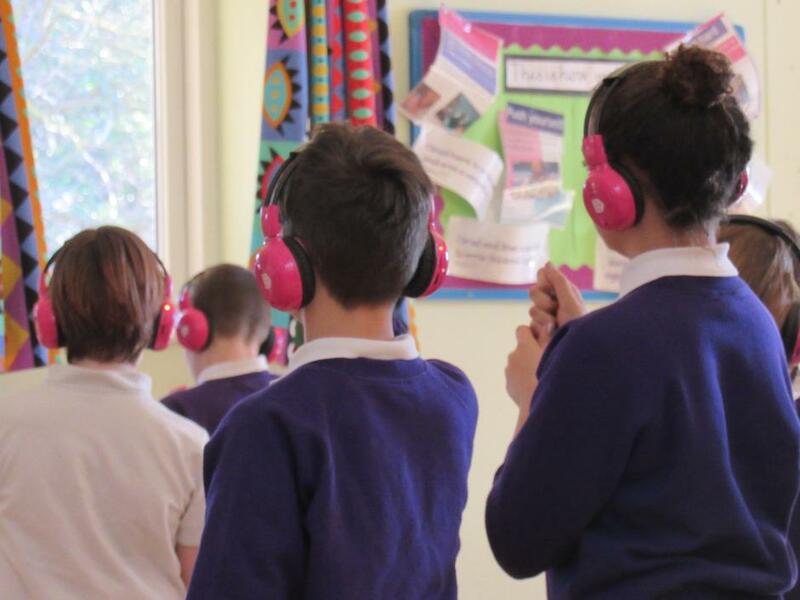 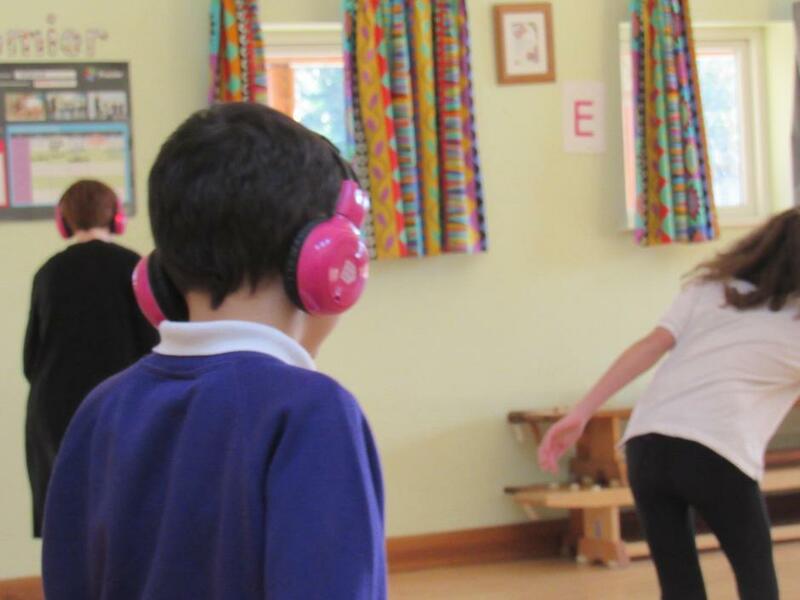 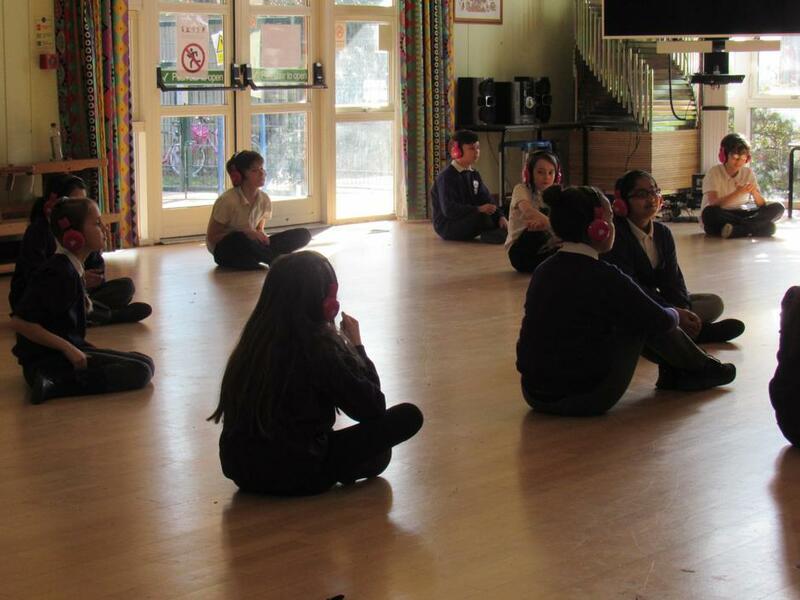 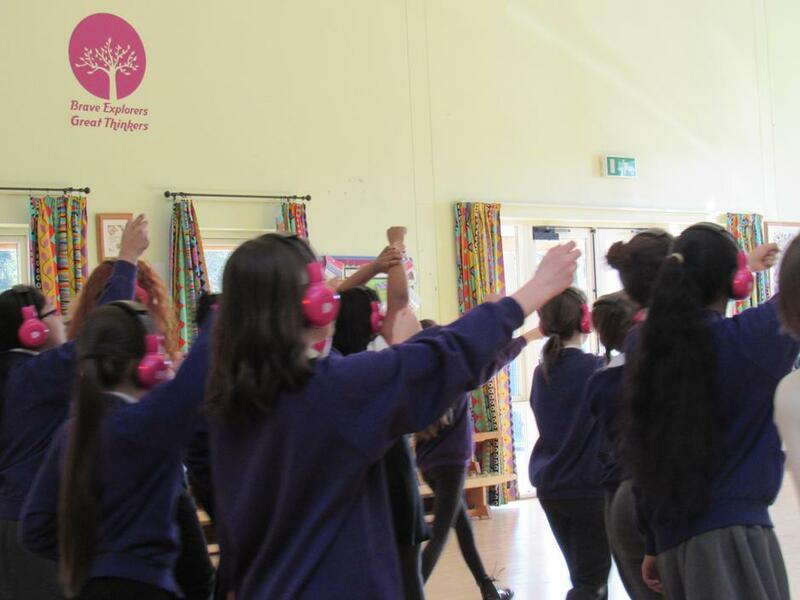 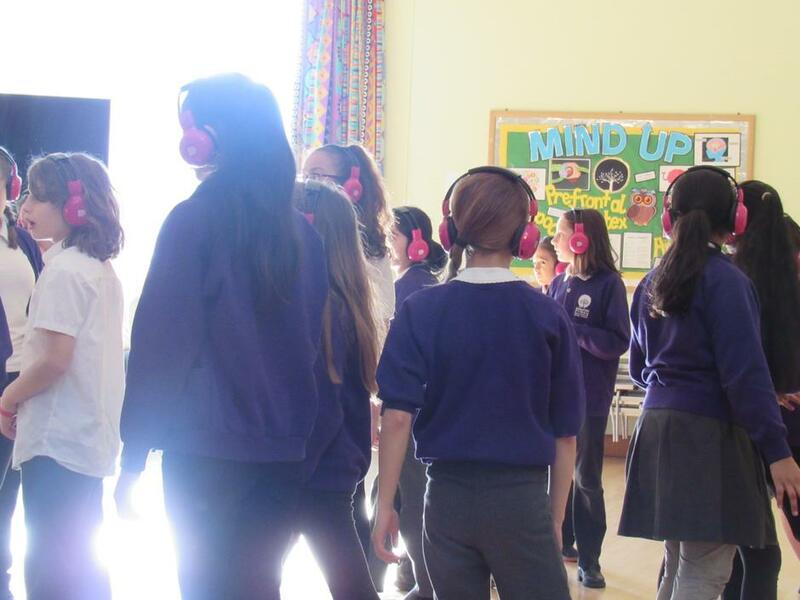 This involved attaching pink wireless headphones to the children's heads and subjecting them to an action-packed interactive tale of derring-do with a covertly educational slant. 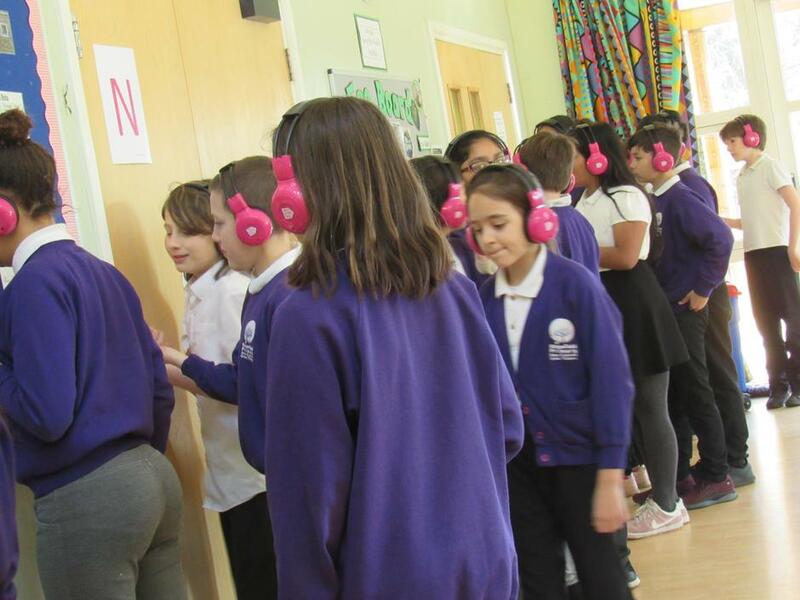 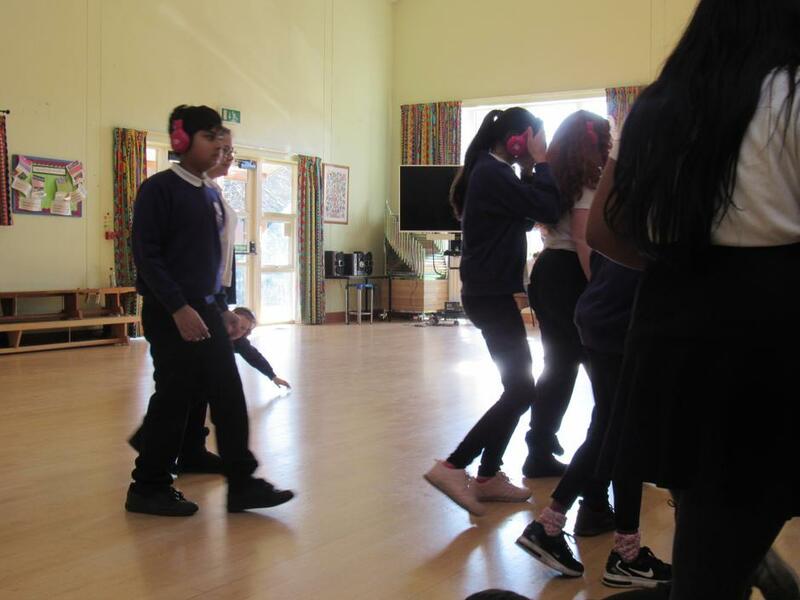 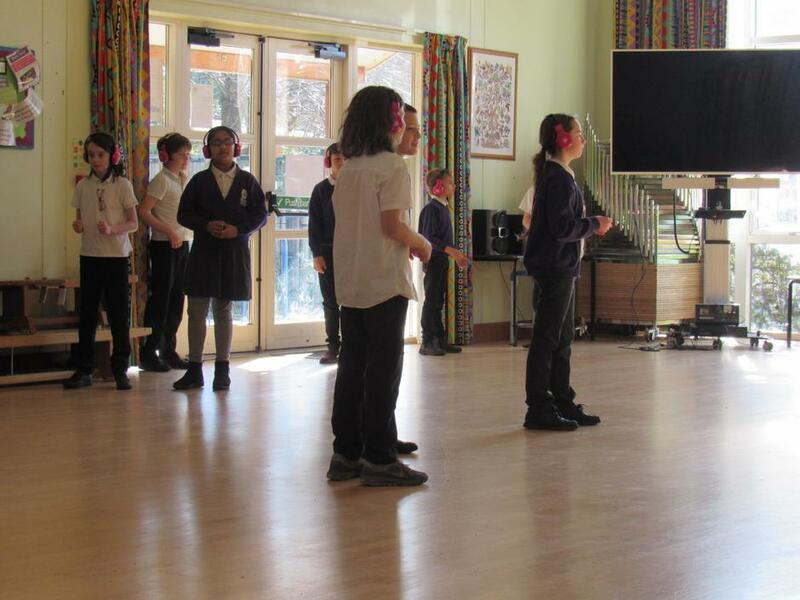 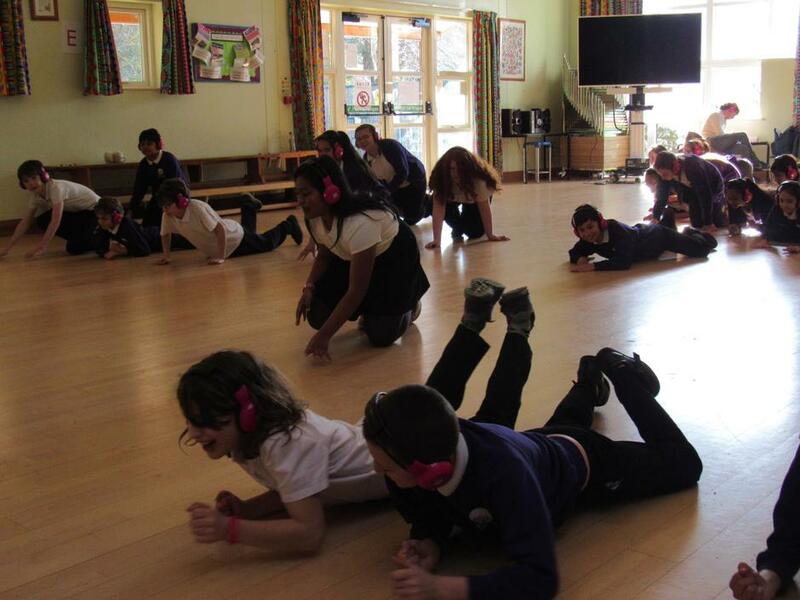 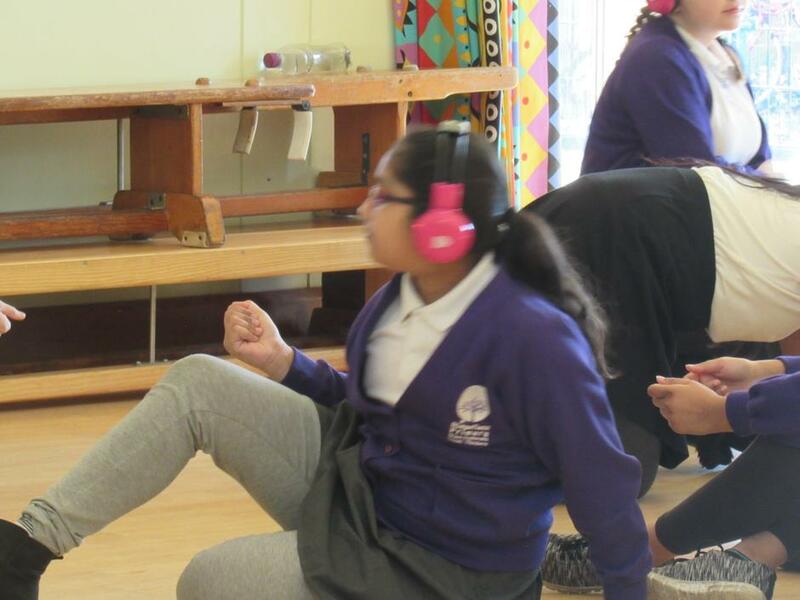 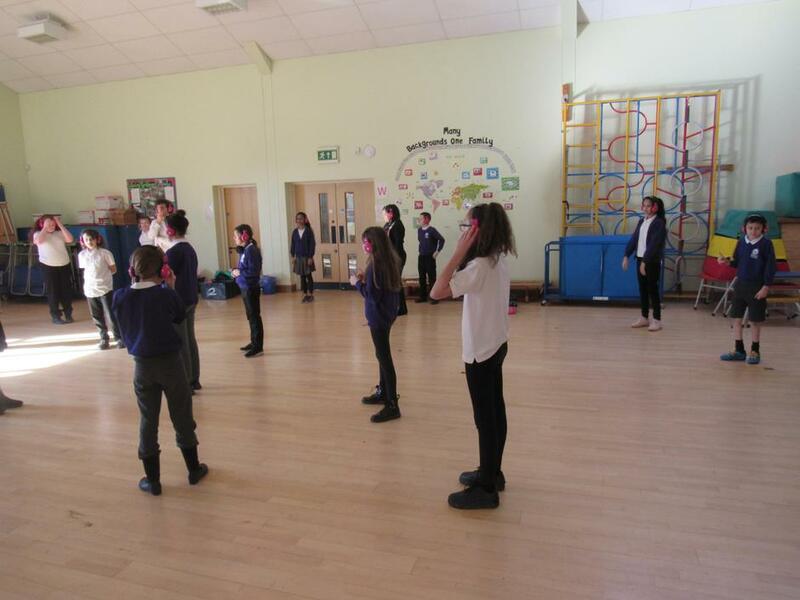 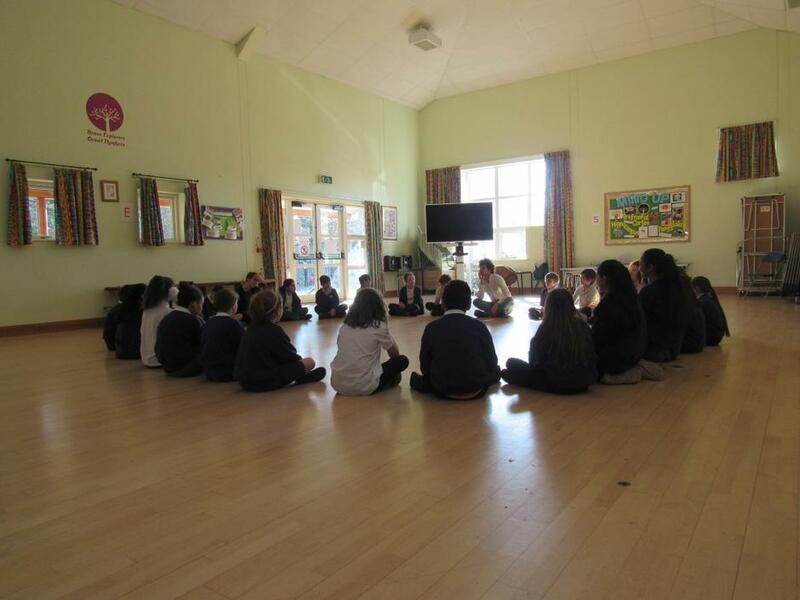 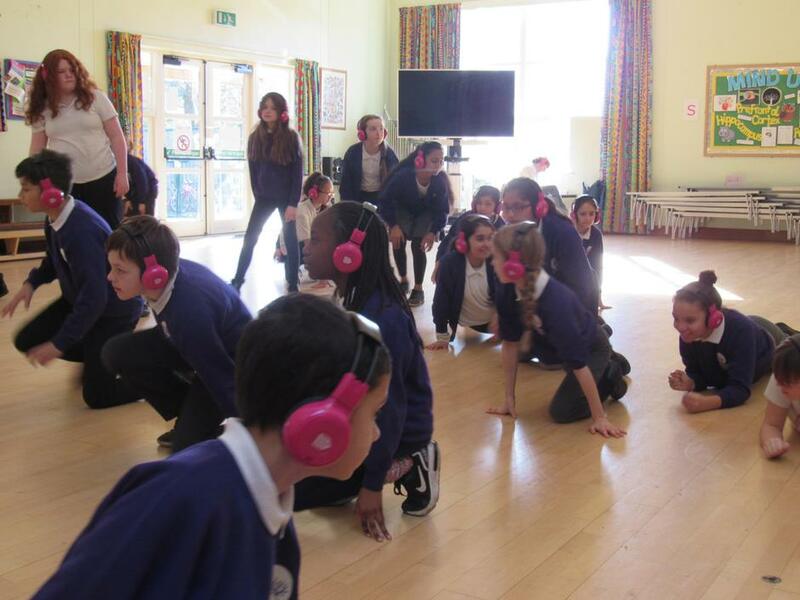 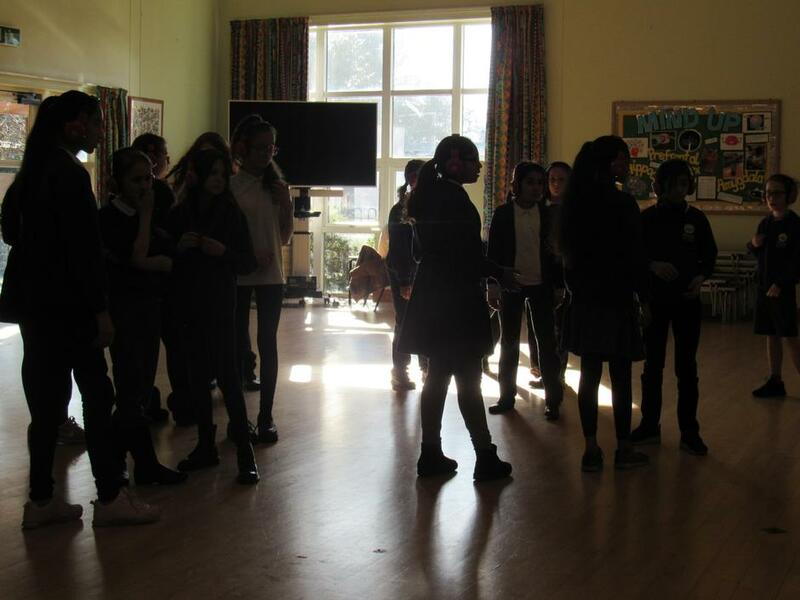 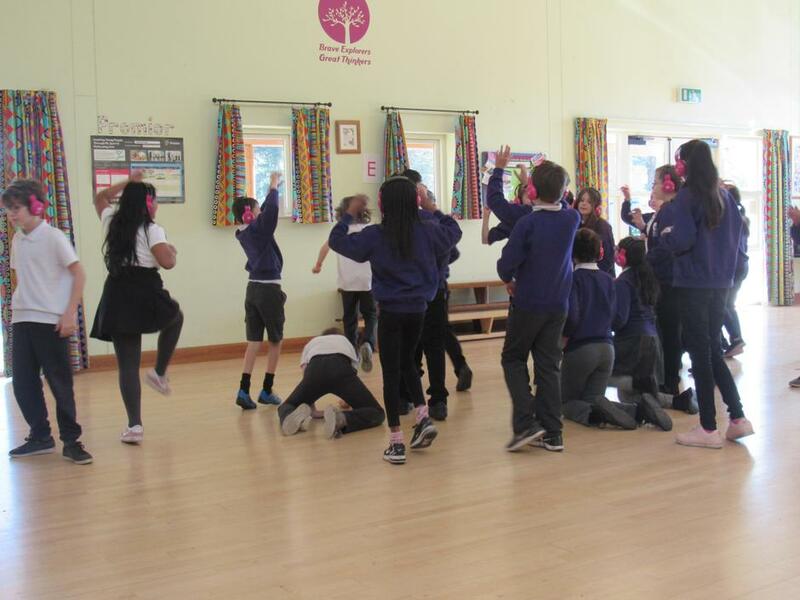 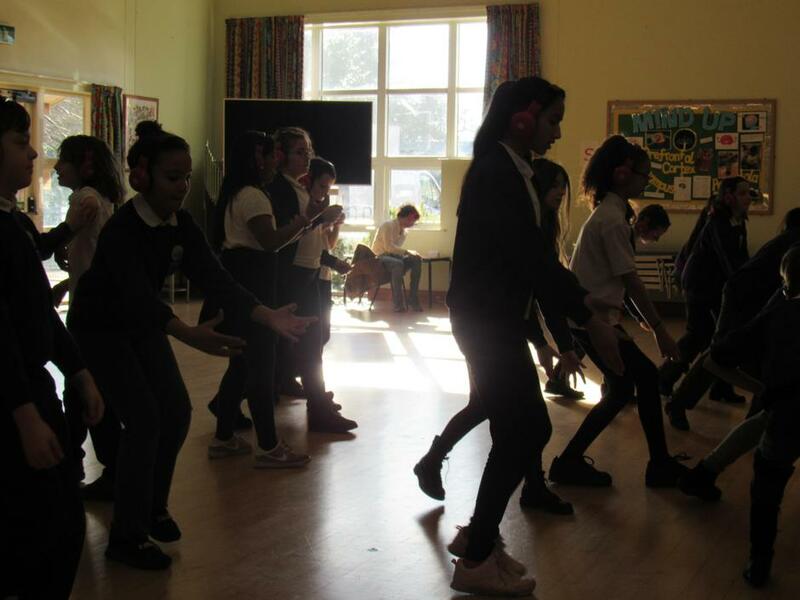 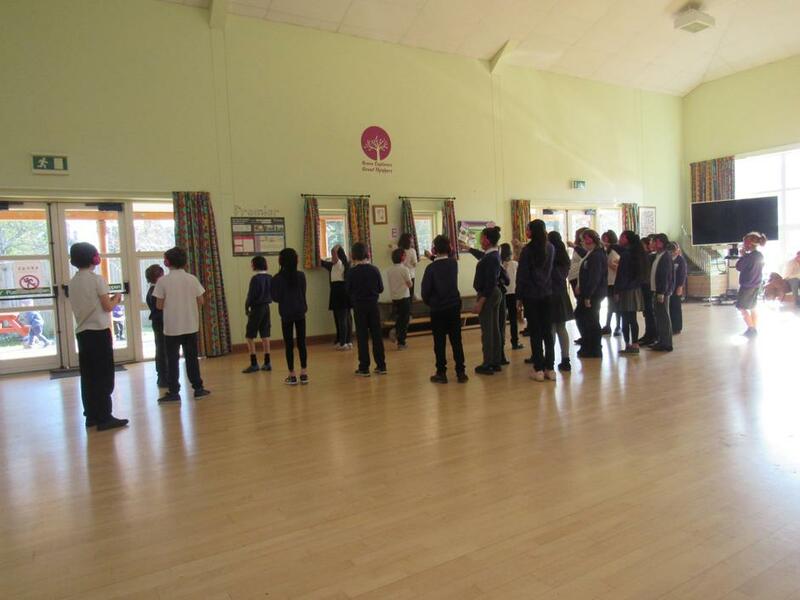 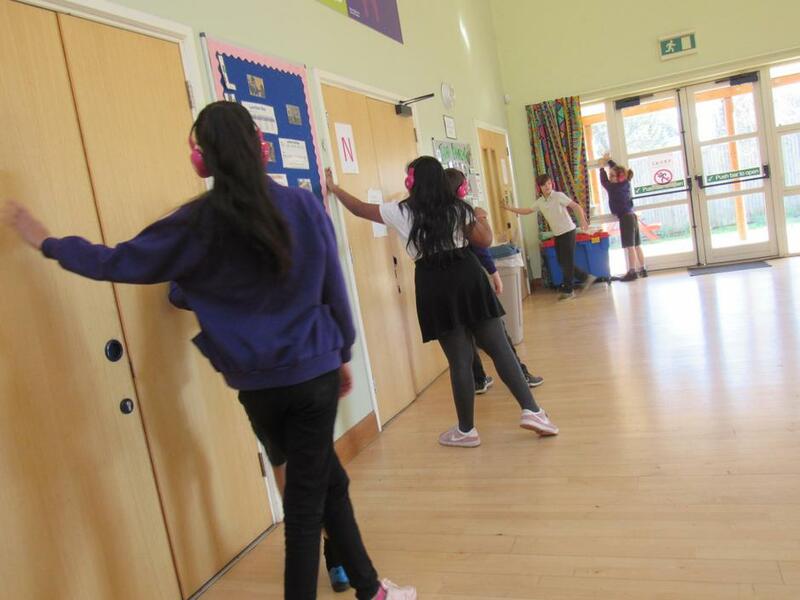 During the experience, the children became the characters from the story and were encouraged to move around the hall to achieve various objectives. 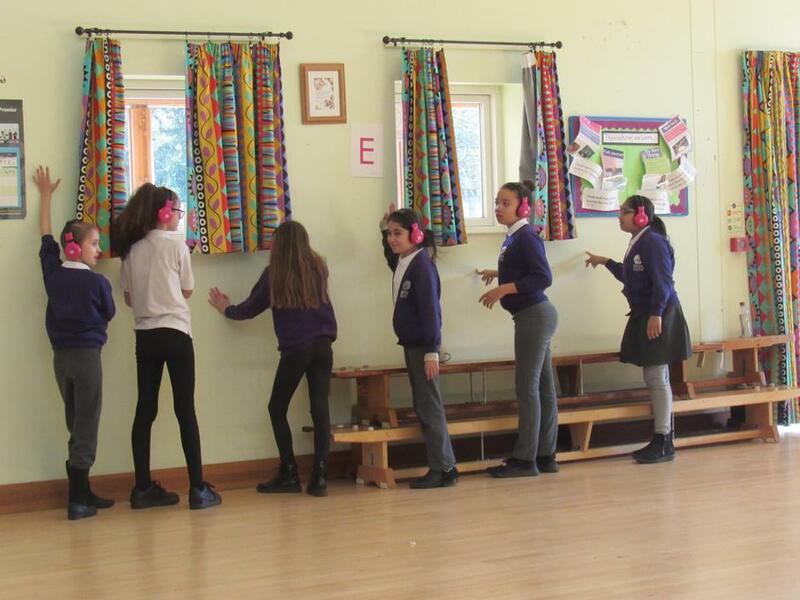 These included the creation of powerful, fully working torches from common household objects (luckily there was a guitar in the house) and learning to insulate themselves from the injurious effects of electrocution by car battery using copious amounts of tissue paper.